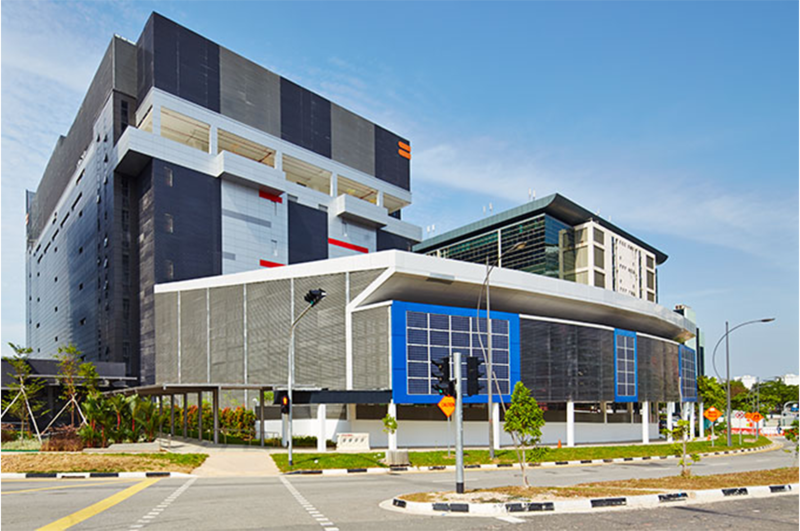 DSCO was engaged to provide Project Management and Full M&E Consultancy Services for the new Dodid Data Centre, which is located at Tagore Lane, Singapore. It is an existing industrial building that is converted for Data Centre colocation purposes and has an approximate area of 10,520m2. The facility was awarded TCDD Tier III and TCCF Tier III by The Uptime Institute. It has also been awarded the Green Mark Platinum Award for Data Centres by the BCA. 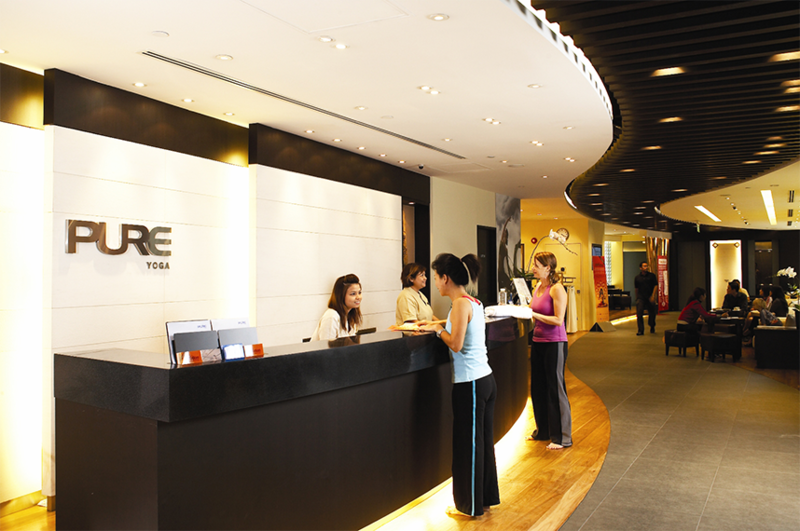 DSCO provided Full M&E Consultancy Services to Pure Group for the new facility at Level 8 of Ngee Ann City by conducting a feasibility study of the new site to determine the suitability of the existing MEP services and then followed by Full M&E Consultancy Services. The new gym facility consists of the main fitness area, fitness studios, reception, shower rooms and changing room area. 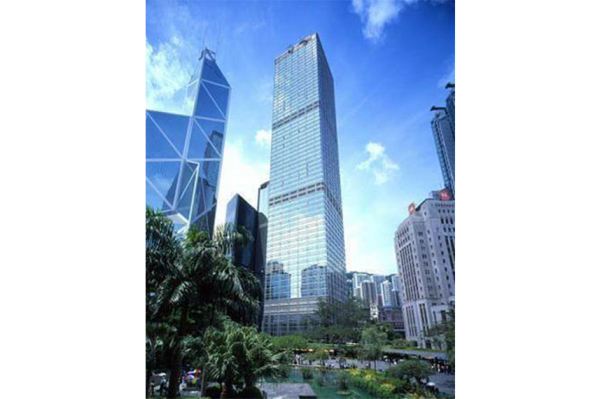 DSCO provided Full M&E Consultancy Services to Pure Group for the new facility at Ocean Financial Centre by conducting a feasibility study of the new site to determine the suitability of the existing MEP services and then followed by Full M&E Consultancy Services. 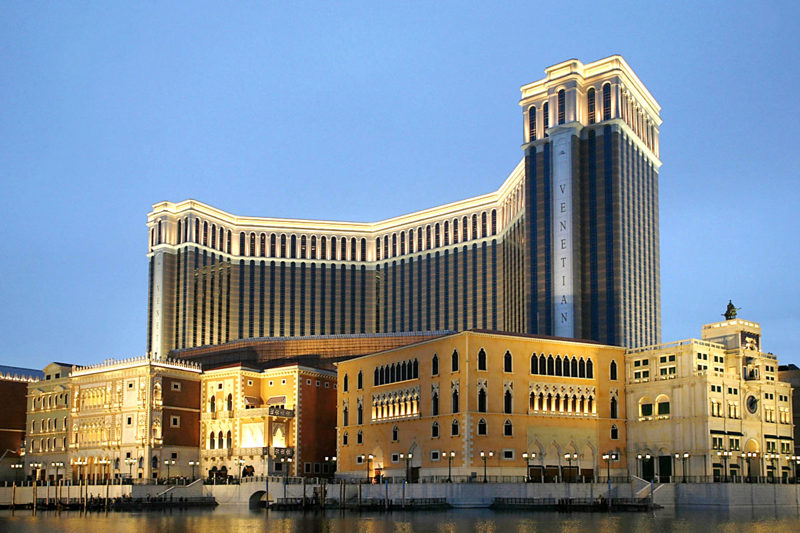 DSCO was engaged to provide M&E Consultancy and Testing & Commissionong Consultancy Services for Las Vegas Sands at their Venetian Macau Resort Hotel. The works include testing & commissioning for 10 of their Data Centres (total of 434 server racks) and the investigation works for the circuit breaker tripping incident. 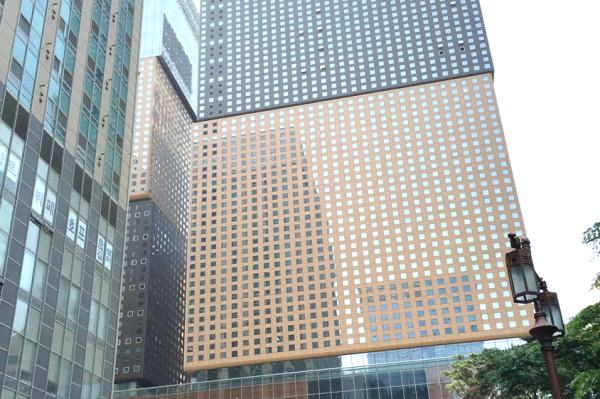 DSCO was engaged to provide M&E Consultancy Services for Societe Generale’s office relocation project to Kyobo building in Seoul, South Korea. The office premises consists of meeting rooms, working desks, pantry, reception area, etc. that is spread across two floors. DSCO was engaged to provide M&E Consultancy Services Digital Realty and Savvis’ joint venture Data Centre. The Phase 1 works consists of 2 halls with 1,440kW IT load per hall, while Phase 2 & 3 consists of a 4 halls with also 1,440kW IT load per hall. The facility was awarded TCDD and TCCF Tier III by The Uptime Institute. DSCO was engaged to provide MEP and Testing & Commissioning Consultancy Services for China Mobile’s Data Centre. The phase 1 works consists of 80 modular data centre racks with IT load of 5 kVA/rack. Phase 2 works consists of 200 racks with IT load 3kVA/rack. DSCO was engaged to provide MEP and Testing & Commissioning Consultancy services for a new Greenfield Data Centre for NTT Communications. It has an approximate GFA of 27,000 sqm and has 13,500 kW of IT load in 9 of their data halls. The facility was awarded TCDD Tier IV by the Uptime Institute. DSCO was engaged to provide Testing & Commissioning Consultancy services for a new Greenfield Data Centre for China Unicom. 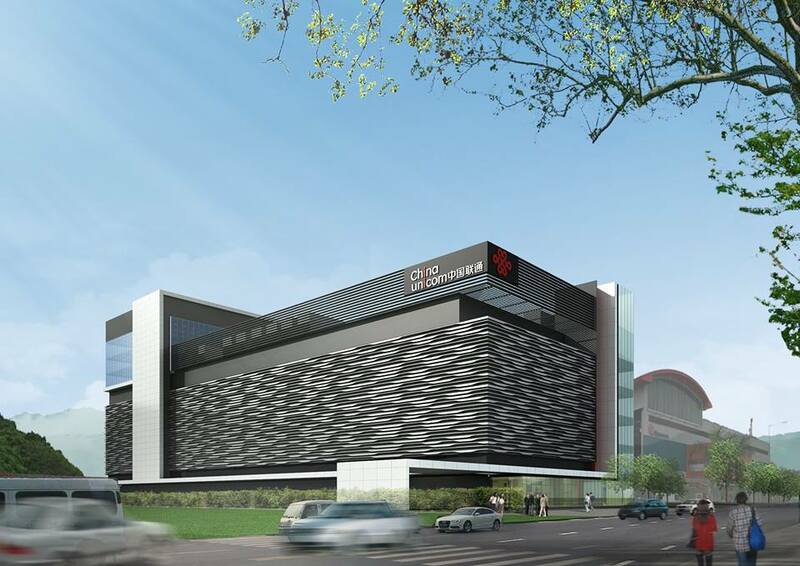 This is China Unicom’s first Data Centre that is located outside of China and it has an approximate GFA of 14,865 sqm. DSCO was engaged to provide M&E Design Consultancy services for a new Greenfield Data Centre for Pi Datacenters. 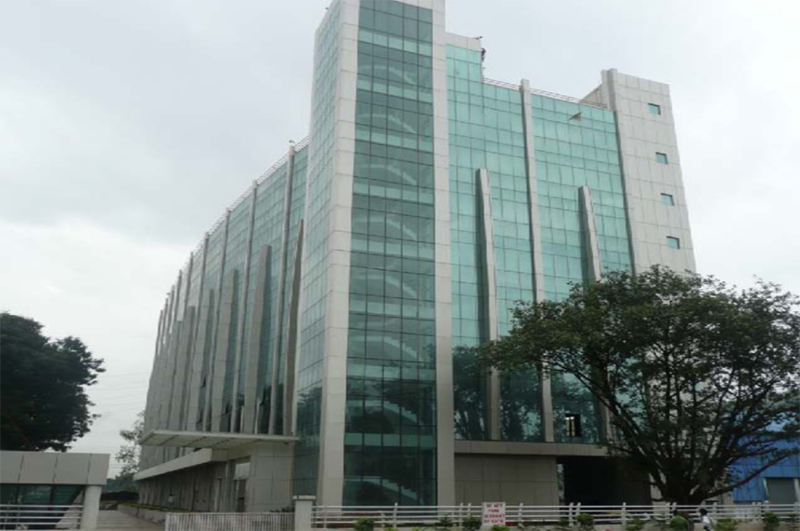 The Data Centre offers colocation and cloud services out of a modular Data Centre located on a 10 acre piece of land in Amaravati, and the facility has the capacity to house more than 5,000 racks. The facility was awarded TCDD Tier IV by The Uptime Institute and it is the largest Tier IV certified Data Centre currently in India. The project commenced in May 2015 and is currently in construction. 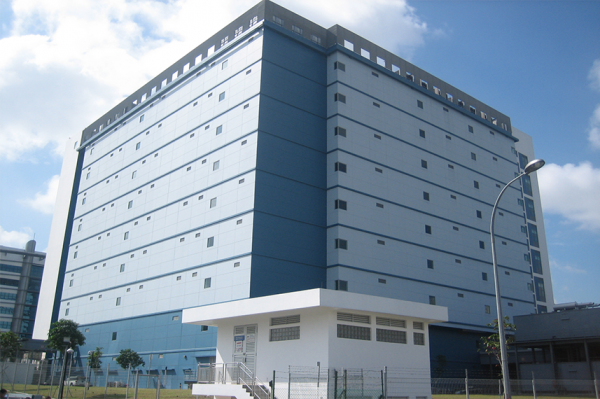 DSCO provided Singtel with Full Project Management, MEP Design Consultancy and was the ESD Consultant for the end to end service from feasibility study, detailed design, tender, contract administration to witnessing the testing & commissioning of the purpose built Data Centre at Yung Ho Road, Singapore. 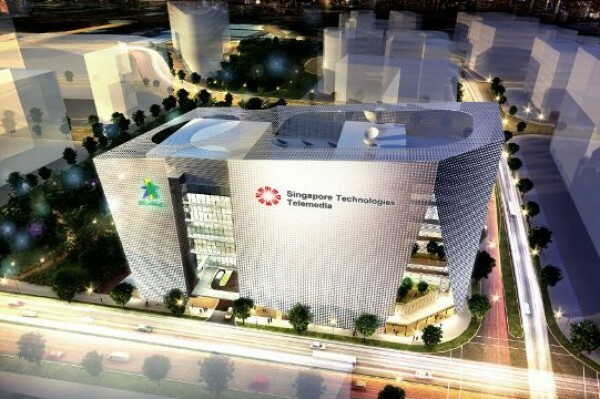 Singtel DC West is a purpose-built seven story building with state-of-the-art Data Centre facilities. The Data Centre offers services from entry-level rack space to high density solution, caged area and customised private vaults. The Data Centre project has 14,000 sqm of Data Centre space, and is equipped with a total power capacity of 36MW, one of the highest power densities in the region. It has been awarded the Green Mark Platinum Award for Data Centres by BCA. The project commenced in 2013 and the base building infrastructure was completed in 2016. It currently has ongoing phases for the fitout works of Data Centre pods. 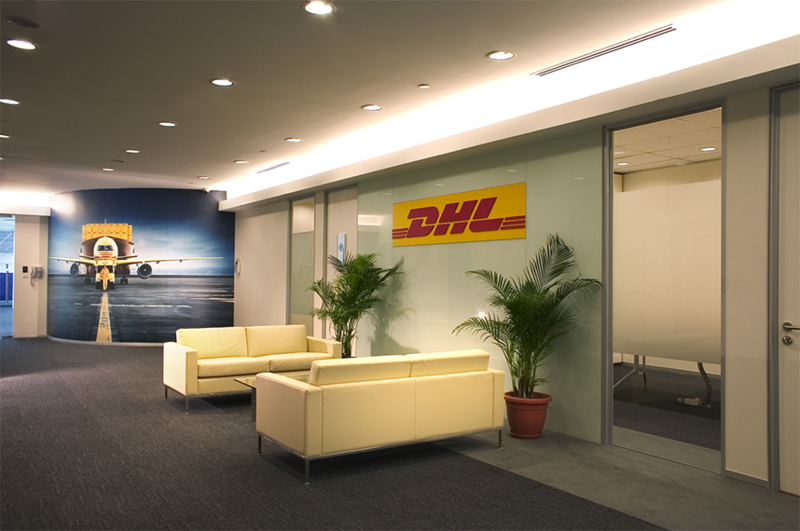 DSCO has been working with DHL at various locations on a number of office expansion and fitout projects since 2003. DSCO were involved in the fitting out of DHL offices at Parkview Square for their Regional Quality Control Centre and Server room with a total area of approximately 750 sqm. DSCO provided M&E engineering consultancy services to DHL at Tai Seng for approximately 5,600 sqm of office space. The renovation including equipment room (approx. 280 sqm) and a regional call centre (100 desks). The upgrading completed in 4 phases in the same year. 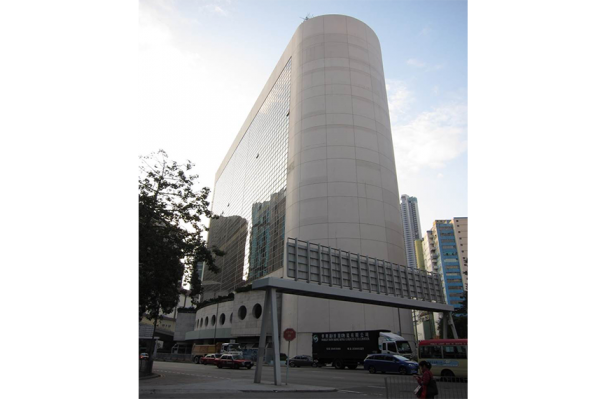 DSCO provided M&E Engineering Consultancy Services to DHL at Tai Seng for approximately 1,600 sqm of office space for expansion. DSCO were involved in the fitout works of DHL at Changi for approximately 2,300 sqm of office area which was completed in the same year. 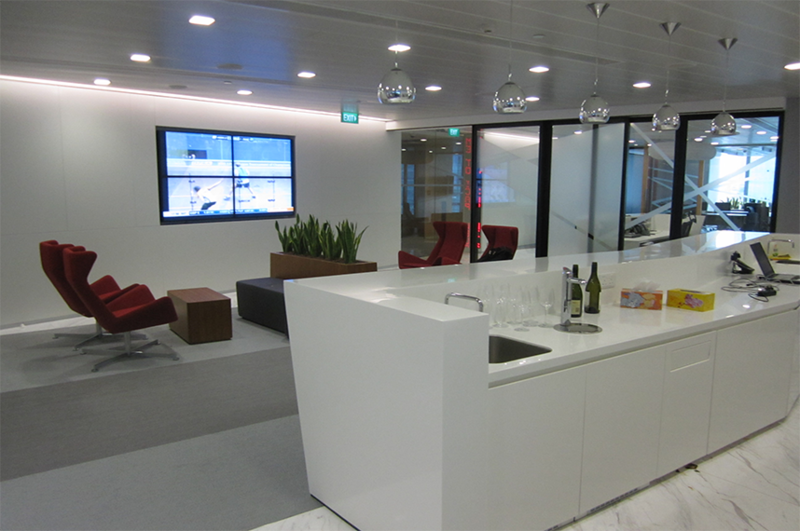 DSCO was engaged to provide M&E Consultancy services to relocate the existing offices in Changi Hub to their Swissport facility and to also handle the fitout works of their offices, reception, meeting rooms and pantry at the new premises. The Swissport facility is an existing 3-Storey building with a total area of 35,600 sqm which was retrofitted to suit DHL’s operations. 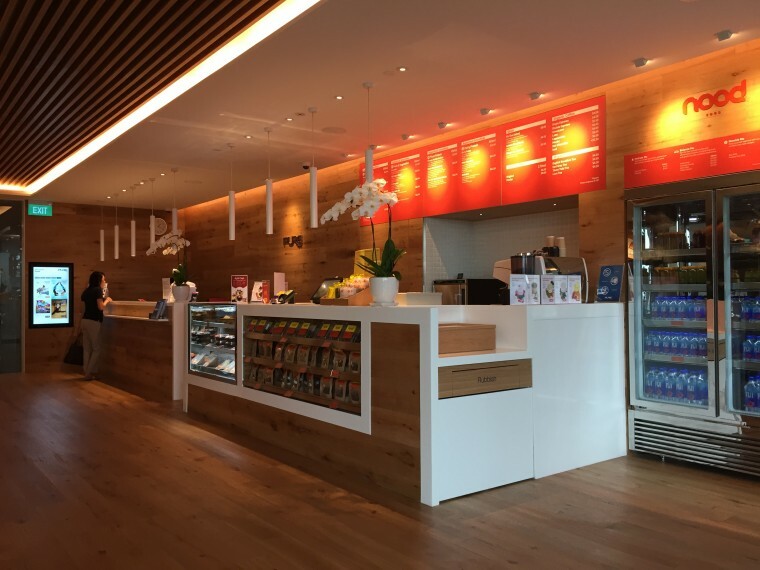 DSCO provided M&E Consultancy Services to AB Global for the fitout works of their new premises at One Raffles Quay, Level 27 with an approximate area of 865 sqm. 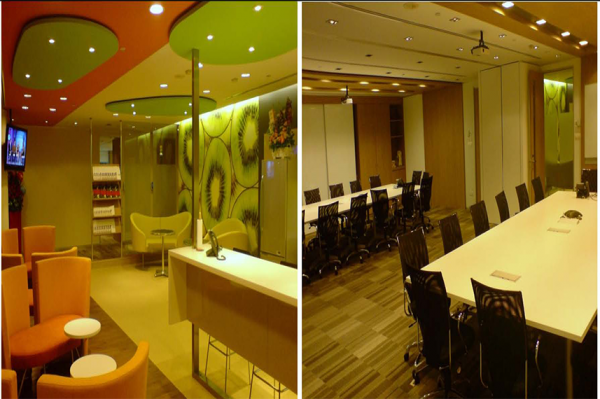 The fitout work included workstations, offices, meeting room, production room, server room, storage room, boardroom, pantry and reception. DSCO provided Lead and M&E Consultancy Services for BoAML’s new office space located at Hong Kong Island. It is of 7-Storeys, with 2 individual mechanical floors, accommodates 1,314 number of seats and has an approximate area of 13,000 sqm. The facility is LEED certified. 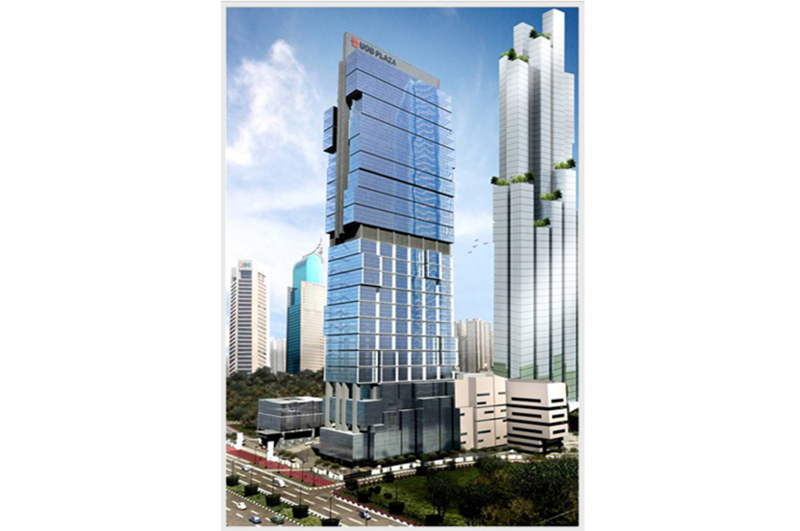 DSCO was engaged to provide M&E Consultancy services to relocate Tudor’s Singapore office to Marina Bay Financial Centre Tower 2. The new office facility was approximately 465 sqm, and consists of 18 trading positions, offices, server room, a reception and meeting rooms. Tudor reused the existing furniture and systems and the migration were carried out over the weekends followed by the reinstatement works of the existing office. 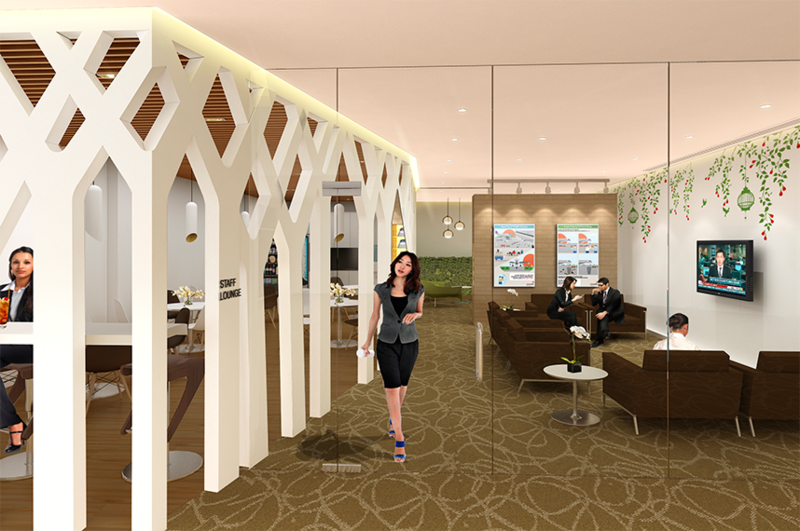 DSCO was engaged by Changi Airport Group in 2012 to provide M&E Consultancy services for the fitout works of the staff lounge located in Terminal 1 of Singapore Changi Airport. The lounge has an approximate area of 155 sqm and is used exclusively by the airport staff. DSCO has been working with Visa at the Singapore Post Centre on a number of office expansion and A&A projects, totally over 9,300 sqm. DSCO were involved in the fitout works of Visa’s premises at level 7 of the Singapore Post Centre that comprises of 930 sqm of Data Centre space, a command centre and 2,300 sqm of office space. 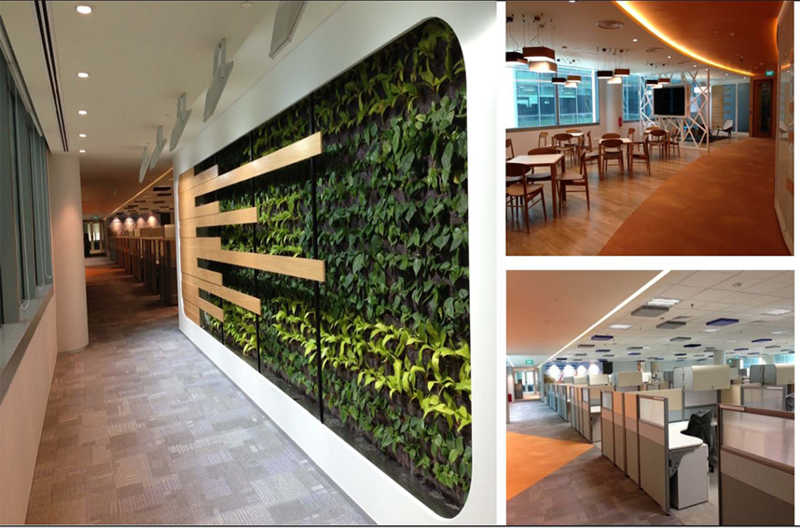 DSCO were involved in another office fitout of approximately 1,600 sqm of office space. DSCO were involved in the office fitout at Level 7 of the Singapore Post Centre, which consisted of approximately 1,600 sqm office space. DSCO were involved in the fitout works of Visa’s office space on Level 11 of their offices in Singapore Post Centre with approximately 3,700 sqm, which includes an internal staircase between the 10th and 11th floor. The new workspace included open plan workstations, reception, meeting rooms and pantry areas. This Visa premise was awarded with the Green mark Award Gold for Level 7 – 10 and Green mark Award Platinum for Level 11. 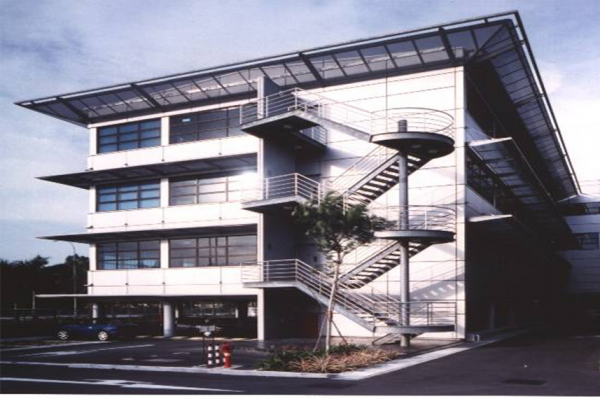 DSCO provided Full M&E Consultancy services to KYH International for a 7,000 sqm, 8-Storey industrial building with a basement cold storage at 30 Alexandra Lane, Singapore. DSCO provided the concept and schematic design, detailed design as well as the testing & commissioning process for this project. DSCO provided Lead and M&E Consultancy services for BoAML at Citibank Tower to upgrade their infrastructure. This includes the upgrading of the UPS system and power distribution for MCR and trading room from N to N+N configuration. 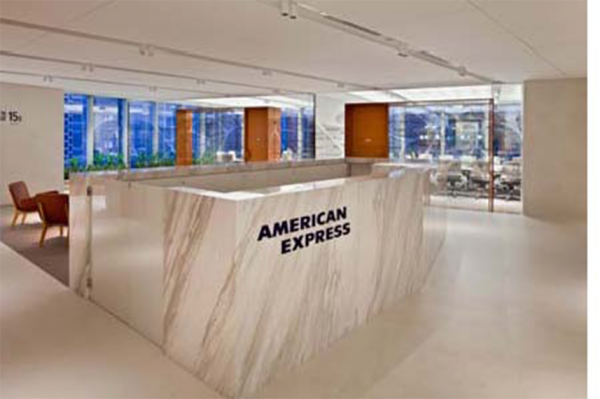 Area: 2,300 sqm Client: American Express Inc.
DSCO was engaged to provide Full MEP Design Consultancy Services for Amex’s new office premises at Marina Bay Financial Centre, at their new corporate real estate facilities. Full M&E Consultancy and iPVTTM was required for the new office premises. The office fitout area was approximately 2,300 sqm. Sensible energy features were also incorporated in the MEP design to save on energy cost. The facility was awarded with Green mark Award Gold by the BCA for office interiors. 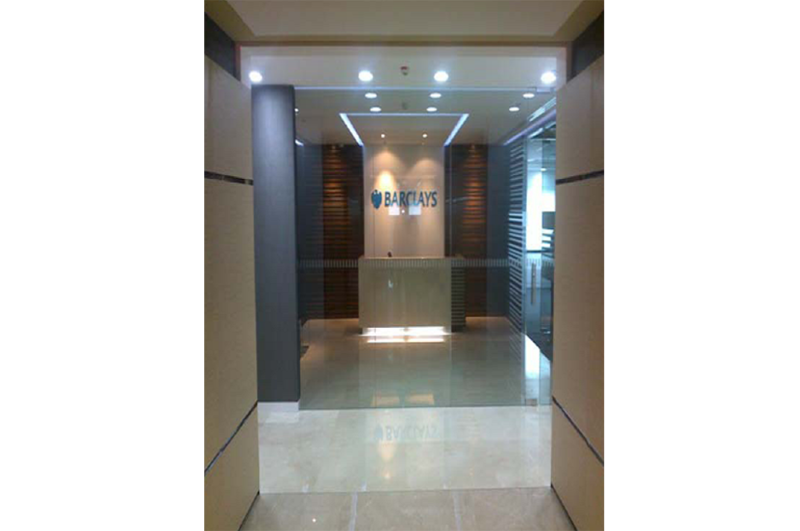 DSCO provided Full M&E Design Consultancy to Barclays Capital for the fitout works for their new office at Marina Bay Financial Centre. 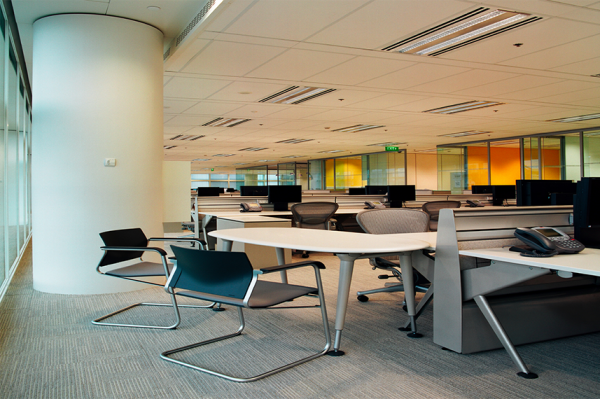 The new office is to consolidate its Singapore back office functions. The facility accommodates approximately 4,000 headcount over 14 floors in Tower 2. The total project size is approximately 32,500 sqm. 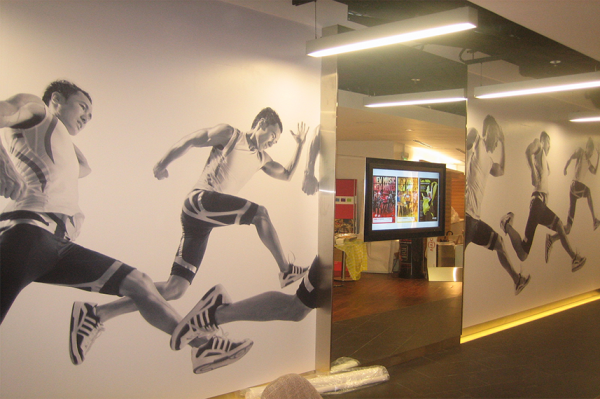 DSCO has been working with BoAML at various locations on a number of office expansion, fitout and A&A projects. At HarbourFront, DSCO was engaged to provide M&E Consultancy services in 2010 for the office fitout to accommodate the deployment of the Cisco Telepresence System. 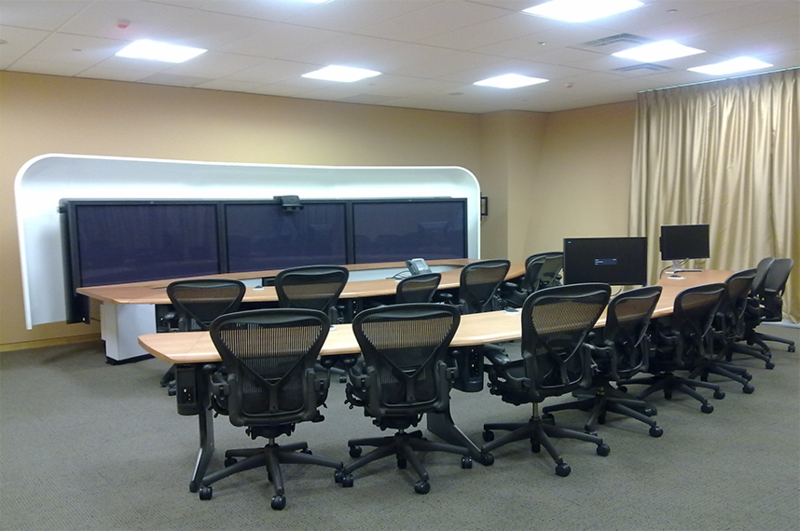 The project included the conversion of an existing medical centre area into a telepresence room and existing office area into 2 no. sick room. 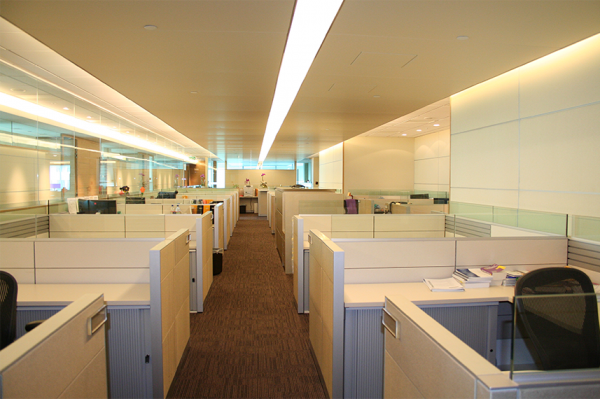 In 2011, DSCO provided Due Diligence Study and M&E Engineering for new office fitout of 750 sqm. 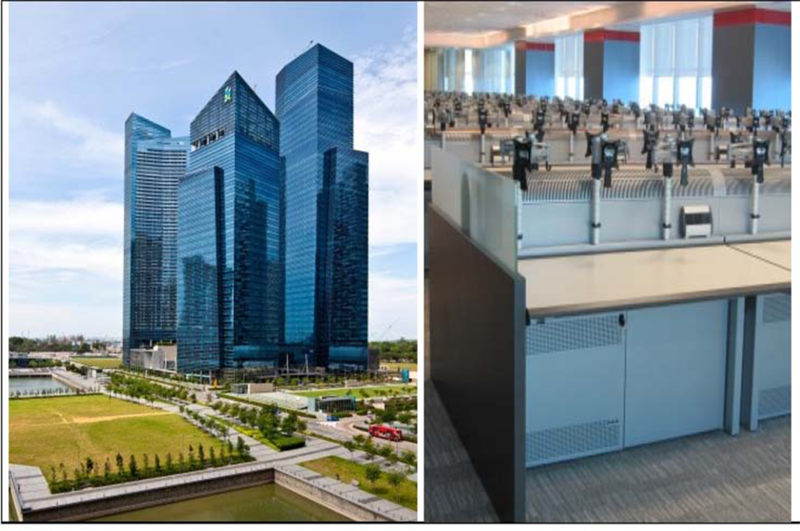 DSCO was engaged to provide M&E Engineering services for iCap to relocate their operations into Tower 2 of Marina Bay Financial Centre, Singapore. The fitout area was approximately 3,070 sqm which consisted of offices, server room, trading room for 200 brokers and Data Centre with up to 60 racks. The requirement is for the MEP services supporting the critical areas to be provided with N+1 redundancy. DSCO provided M&E Consultancy Services to Prudential by fitting out their office at Marina Bay Financial Centre, which occupied one and a half floors of approximately 3,400 sqm. DSCO was in-charge of the Full M&E design up till handover. 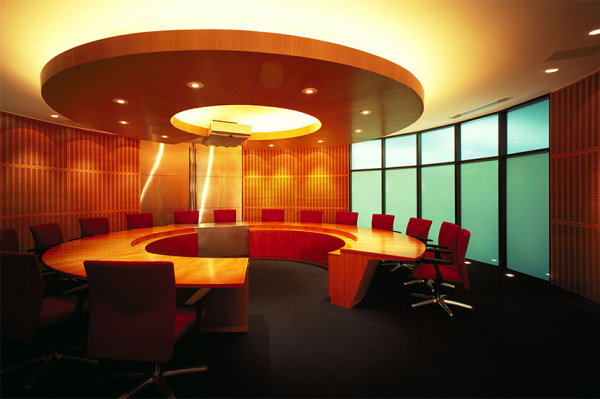 The fitout includes a reception, boardrooms, meeting rooms, tele-presence room, enclosed offices, wet pantry, utilities and general office. DSCO Provided Full MEP Consultancy services and iPVTTM that was required for the base building infrastructure. The office fitout included management offices, commercial investment banking facilities and other infrastructures which included the main Data Centre with approximately 60 racks and support functions. Sensible energy features were also incorporated in the MEP design to save on energy cost. 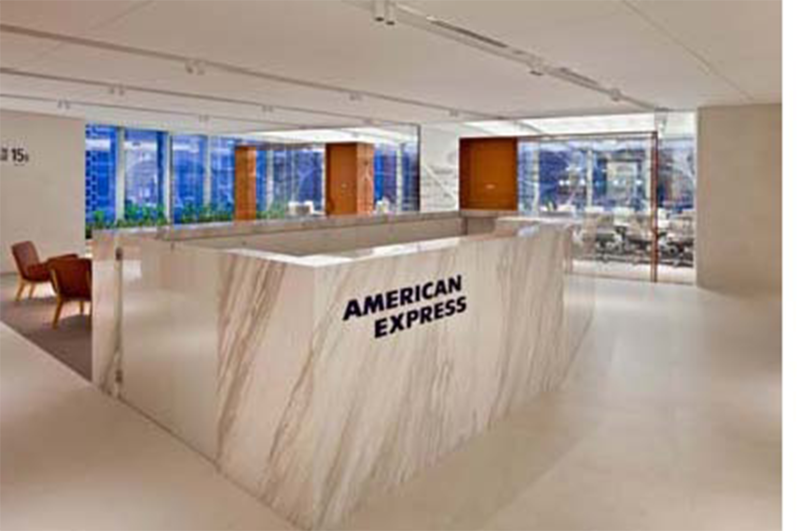 Area: 6,900 sqm Client: American Express Inc.
DSCO was engaged to provide Full M&E Design Consultancy services for Amex at their new office premises at Mapletree Business City as the new corporate real estate facility. Amex occupied approximately 6,900 sqm of office space and the fitout works were done over 3 consecutive floors, each measuring approximately 2,300 sqm. A Tier 3 Data Centre is also housed there which consists of approximately 60 racks measuring an estimate of 220 sqm. iPVTTM was also required for the new office premises. Sensible energy saving features were also incorporated in the MEP design to save on energy cost. The facility was awarded with Green mark Award GoldPLUS. 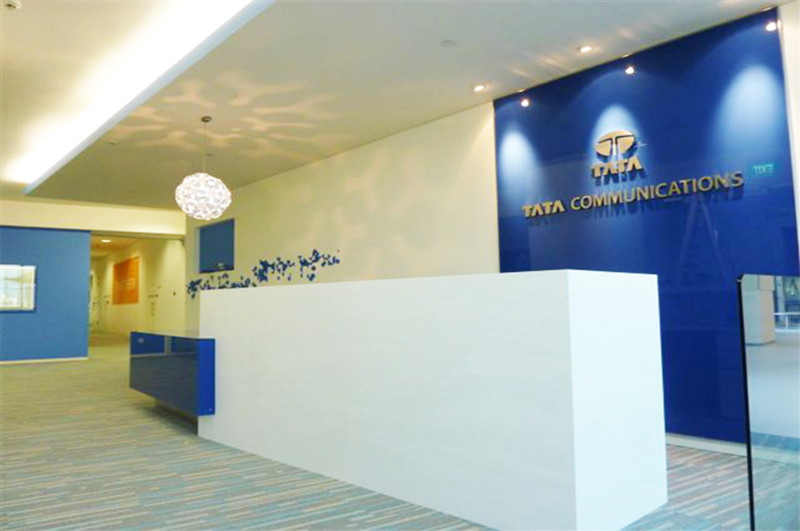 DSCO was engaged by Tata Communications to provide M&E Engineering Consultancy services for the office fitout works at TCX Building at Tai Seng. The area of approximately 2,790 sqm consists of workstations, pantry, meeting rooms, conference rooms, server room and offices. DSCO provided M&E Consultancy services and designed the master planning of the plant rooms’ layout and provided technical advice on value engineering and production plant energy. DSCO also provided peer review services on the design calculation and design drawings by the Local Design Institute. In addition, DSCO also peer reviewed shop drawings and construction drawings submitted by Design and Build Contractor. Upon completing Phase 2 of the production plant, DSCO’s scope of works expanded to provide the technical review for Phase 3 expansion which included an additional 10 storey dormitory, testing laboratory and cold store. 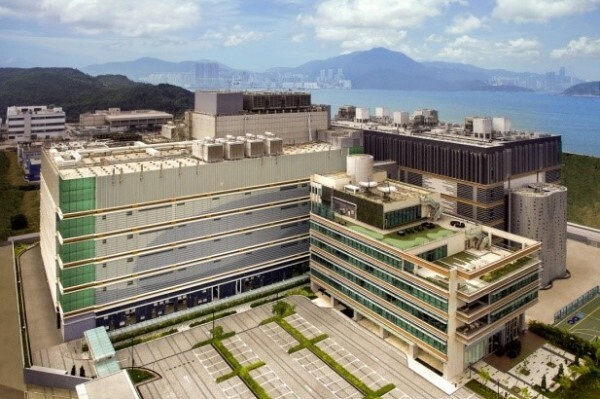 The facility is located at Science Park of Gushu, Shenzhen, China with an approximate area of 36,553 sqm. The medical instruments production plant consisted of offices and production plants including clean room. painting room, assembly lines and dangerous goods store. 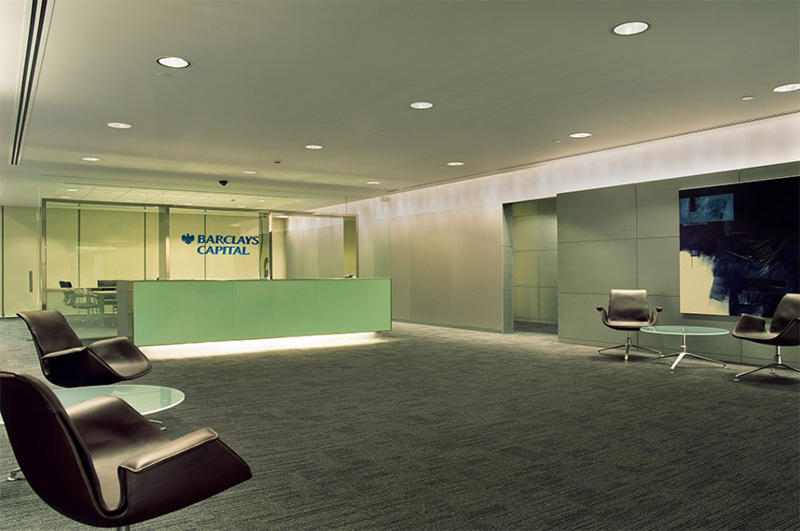 DSCO provided M&E Consultancy services which include Full Design and integrated systems testing service for Barclay’s new facility. The new facility is approximately 460 sqm and comprises of a Data Centre, M&E plant space, IT support areas, trading rooms, meeting rooms, back offices and a pantry. The new Data Centre can accommodate 10 racks with its associated M&E plant room; a total of 70 sqm. 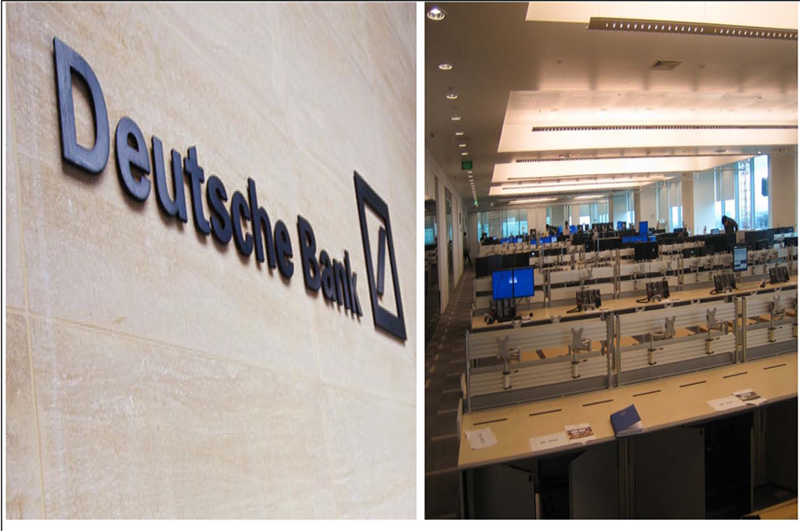 DSCO was engaged to provide MEP Consultancy for the fitout works for Deutsche Bank that consists of offices, meeting rooms, pantry etc. for the total floor area of approximately 25,000 sqm. It was also awarded the Green Mark GoldPLUS award by BCA for office interiors. 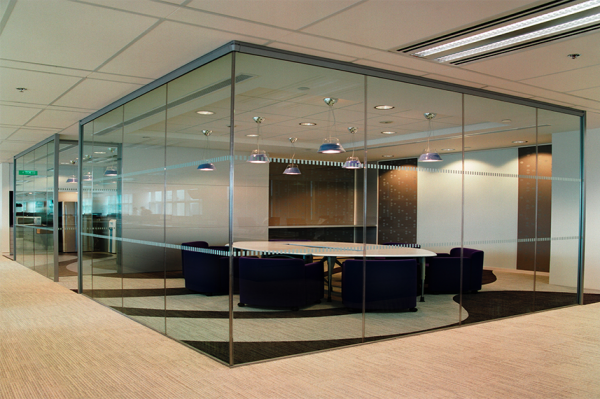 DSCO provided Full M&E Design Consultancy services to Barclays Capital for the fitout of approximately 6,500 sqm of office space at One Raffles Quay, Singapore. The area comprised of back office functions to accommodate over 700 staffs, meeting rooms, and conference rooms, IT rooms with racks, generators and plant room equipment. 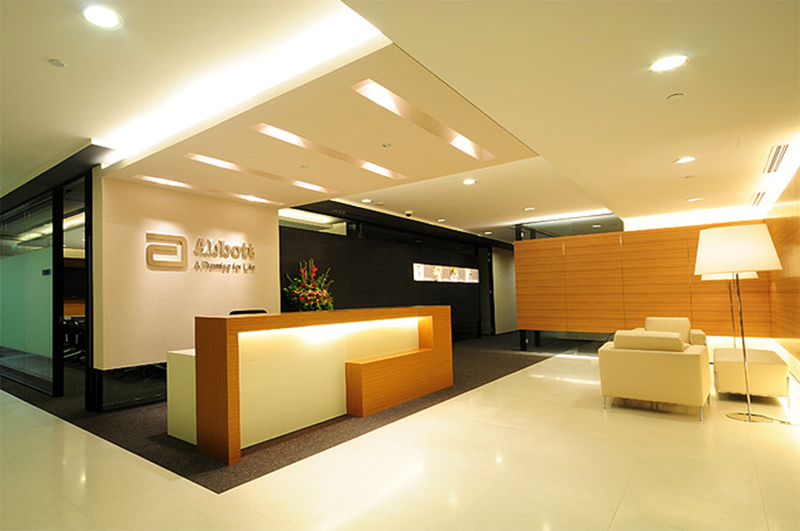 DSCO provided M&E Consultancy services for Abbott Laboratories to manage the fitout works of its new regional head office at Vision Crest Commercial Tower, Singapore. The final area that is occupied is approximately 2,200 sqm and consists of a reception, boardrooms, meeting rooms, utility, workstations and offices. It took approximately 6 months from awarding of consultants to project close out. 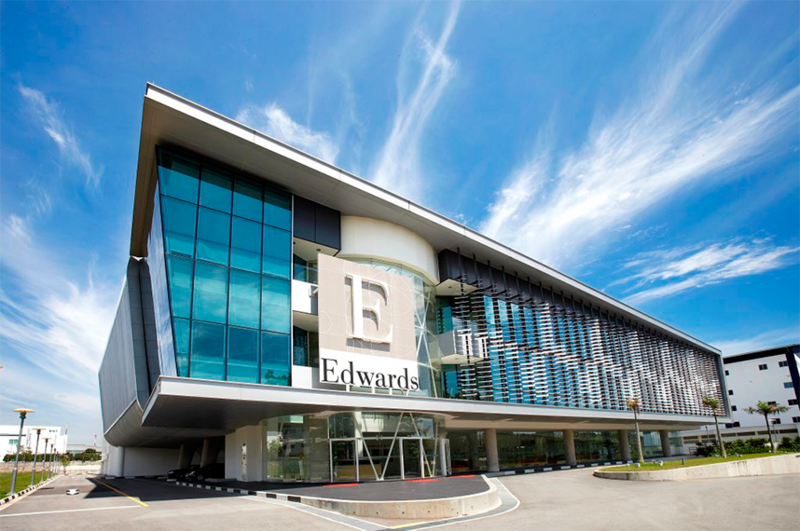 DSCO provided M&E Consultancy services for Edward Lifesciences, the global leader in the science of heart valves and hemodynamic monitoring with a 7,730 sqm new manufacturing facility in Changi North Crescent, Singapore which includes offices and laboratories. The “state of the art” facility produces Edwards’ world-leading Carpentier-Edwards Perimount tissue heart valve replacements, and also serves as the headquarters for Edwards’ Asia-Pacific operations, one of the company’s fastest-growing regions. DSCO provided M&E Consultancy services to A*STAR for their new facility located at Biopolis, Singapore. 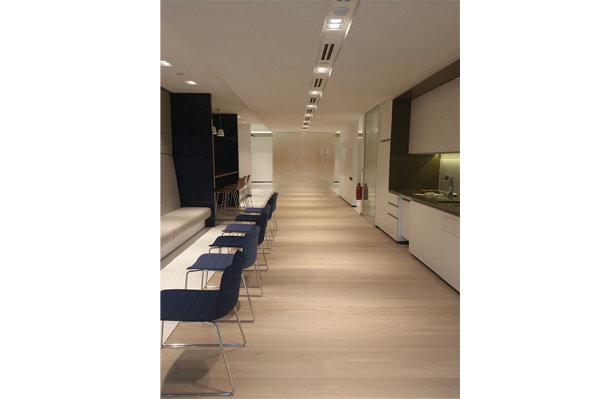 It was a fast track 6,030 sqm shell and core fit-out comprising of offices and laboratory spaces and was completed within 6 months from design to handover. 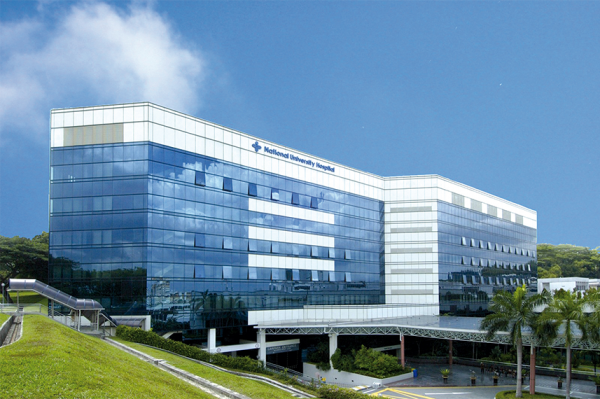 The Institute is a field strategic to Singapore’s Biomedical Sciences Initiatives as it plays a major role in infectious diseases, cancer, diabetes, lupus and other auto-immune diseases. DSCO provided Lead and M&E Consultancy services for the upgrading works of Deutsche Bank’s main equipment room and main technology room at Cheung Kong Centre, Hong Kong. This includes the UPS, Chiller, Generators and risers to be upgraded from N to N+N. This project is also a 100% expansion of the main technology room and expansion of trading floors. DSCO provided M&E Consultancy Services for UBS AG’s new Singapore Headquarters at One Raffles Quay, Singapore, which comprises of a total area of approximately 15,800 sqm. 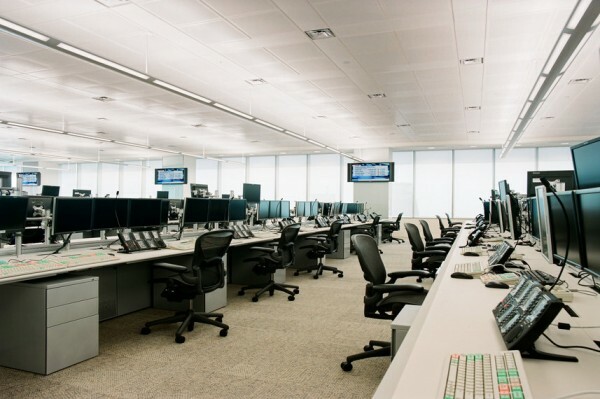 DSCO were appointed as the MEP Consultant for the mission critical areas namely the trading room and Data Centre. 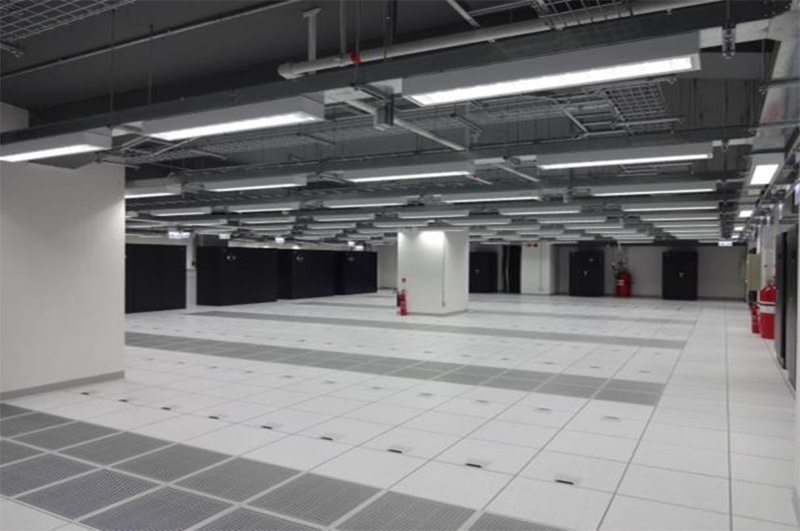 The Data Centre Day 1 fitout works was 630 sqm and ultimately 1,000 sqm, based on 1000W/m2. The trading room was based on about 200 traders at 750W/desk. 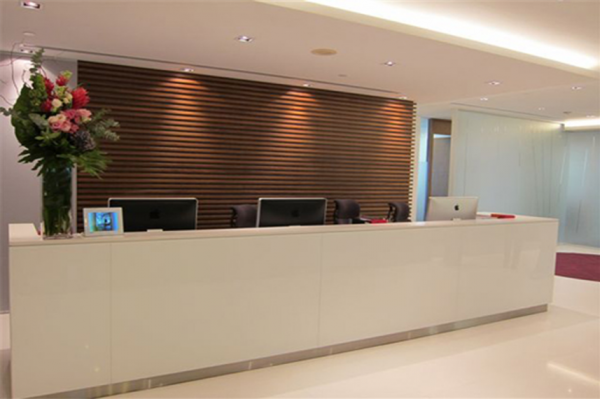 DSCO was engaged to provide M&E Consultancy Services for Capital International’s new office fitout of approximately 3,160 sqm with an internal staircase, at Levels 32 & 33 of the North Tower at One Raffles Quay, Singapore. The space includes open plan workstations, offices, data centre, meeting rooms, conference rooms, pantry and trading room for 6 dealers. 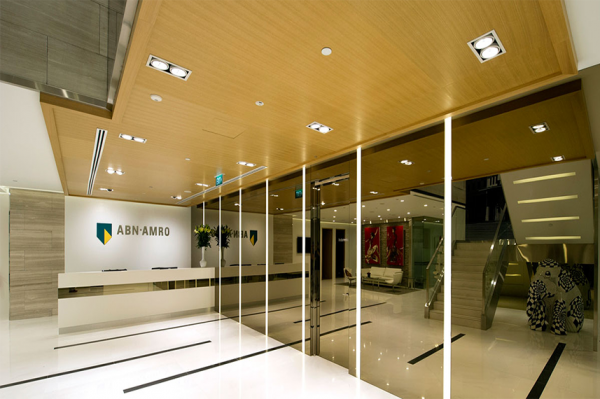 DSCO were appointed to provide Full M&E Design Consultancy services and performance testing of the critical systems for ABN Amro for the fitout works of approximately 16,700 sqm of office space including space for 330 traders and a 60 rack Data Centre. ABN Amro did not install any of their own infrastructure, they made use of the Landlord’s infrastructure albeit upgraded to cater for the anticipated loading requirements. The designs of the MEP systems supporting the Critical Data Centre were in accordance with an N+1 philosophy for resilience and redundancy. 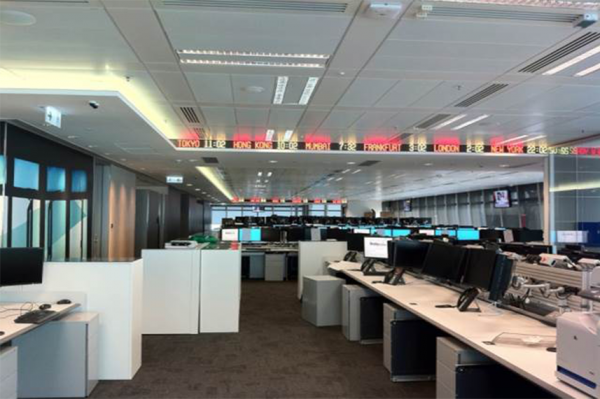 For the trading room to meet the requirements of 400Watts/Desk IT load, the design made use of naturally ventilated trading desks with the base building AHU upgraded. This upgrading was possible as ABN Amro committed to the building whilst it was in the early stage of construction and such upgrades were issued to the base building main contractor. DSCO provided regional M&E Design and project support Consultancy services for Macquarie Bank. Due to the acquisition of ING’s Equities, Macquarie Bank expanded and upgraded their existing premises throughout the region. DSCO’s scope of services ranged from full peer review design and project delivery services. The scope of services included power distribution, standby power generation, UPS, air-conditioning, lighting, fire protection and security. Project was completed between the periods of 2004 – 2005. DSCO was engaged to provide Full M&E consultancy services for this project which included a mission critical Data Centre environment as well as disaster recovery facilities. The fast tracked project involved the fitting out of approximately 6,970 sqm to cater for an estimated head count in the order of 500. 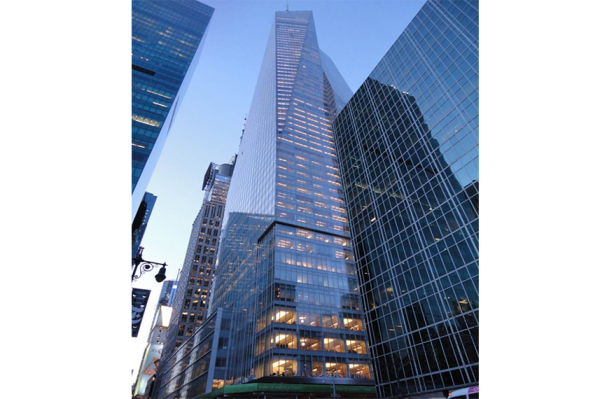 One of the key challenges of the project was the extent to which the base building infrastructure required to be modified and supplemented to achieve Barclay’s requirements for N+N redundancy. 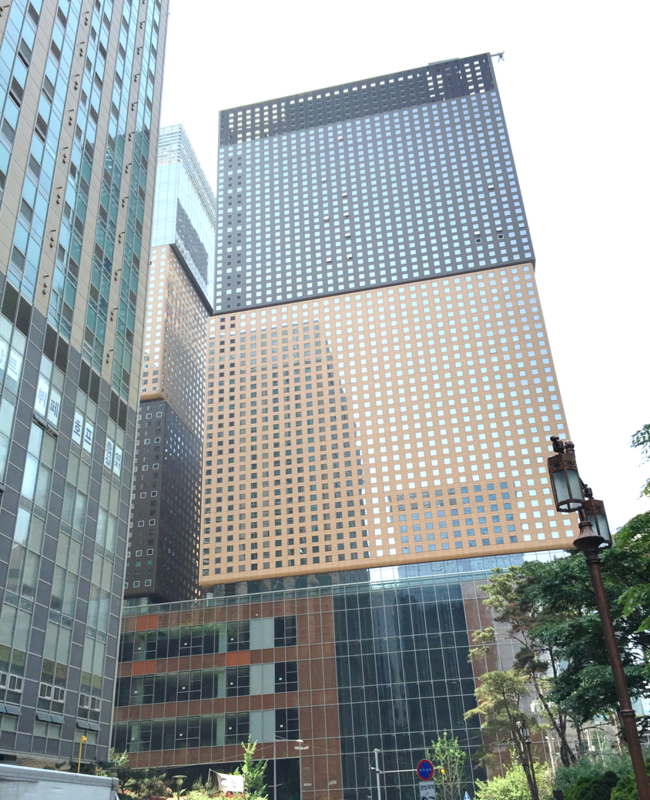 This is Barclay’s global support hub in addition to its office at Capital Square back then. 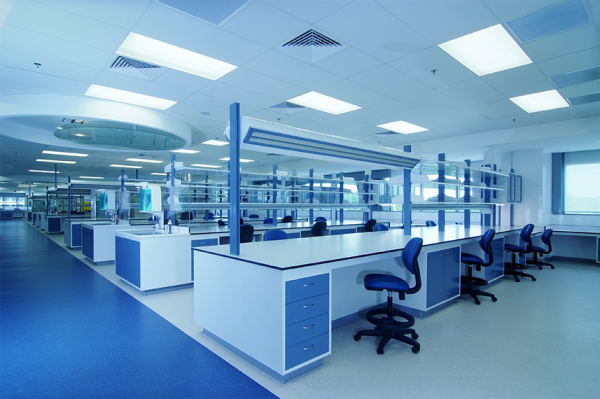 This 2,000 sqm research and development facility is a fragrance and compounding facility consisting of offices, production areas and laboratories. DSCO provided the M&E services and assisted the Architects in this Fast-track design and build contract and was completed in 1996. In 2003, DSCO were appointed to provide Full M&E Consultancy services for a two bay extension to the existing four storey office and laboratory block and a total retrofit to the second storey of the production block. 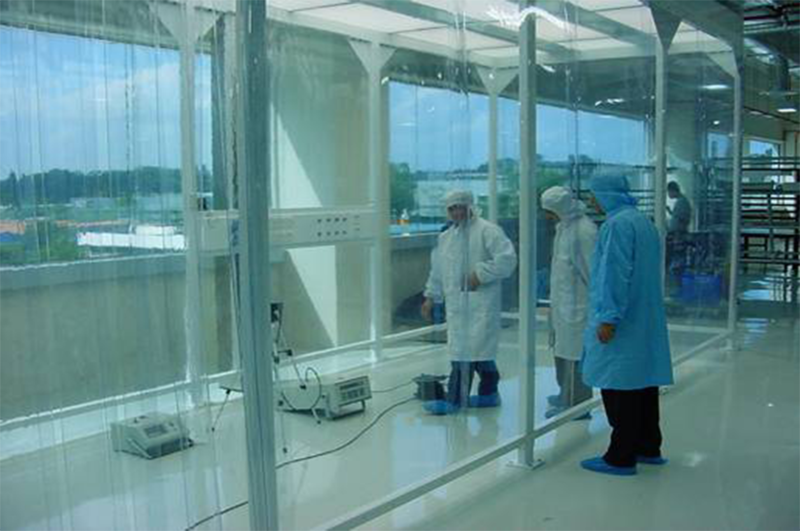 This included provision of 100% pre-cooled fresh air, humidity control, laboratory pressure controls and laboratory extracts to certain areas. Pressure controls, extracts and specialized filters were used for the control of odour transmission. DSCO were appointed to provide Full M&E Consultancy services including building due diligence for the selection of an appropriate building based on Electroglas’ requirements and Full M&E Design Consultancy of the production plant, warehouse and office space. 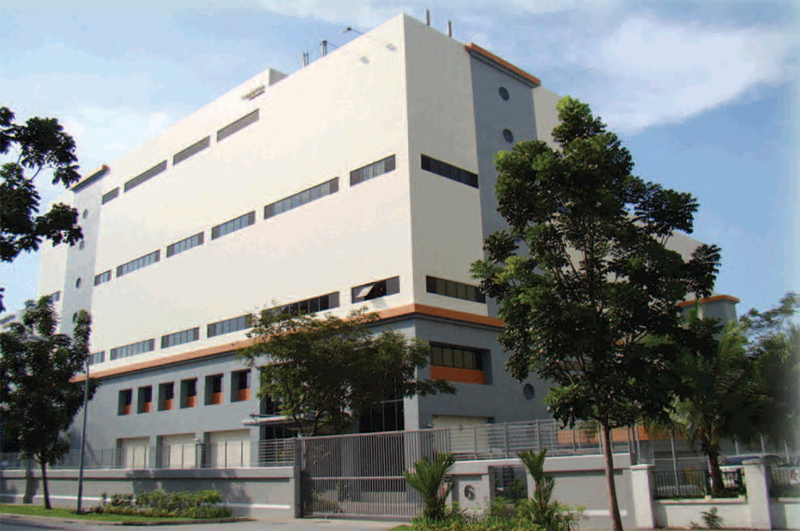 This 5,000 sqm manufacturing facility was relocated to Loyang, Singapore from San Jose, California. 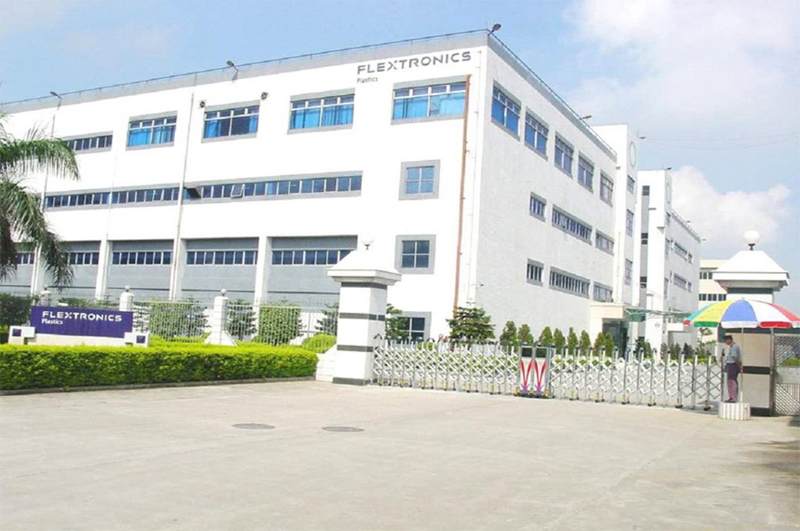 The works included a Class 100 clean air environment, compressed air system, vacuum air system and 120v, 60 Hz electrical supply for the production plant. 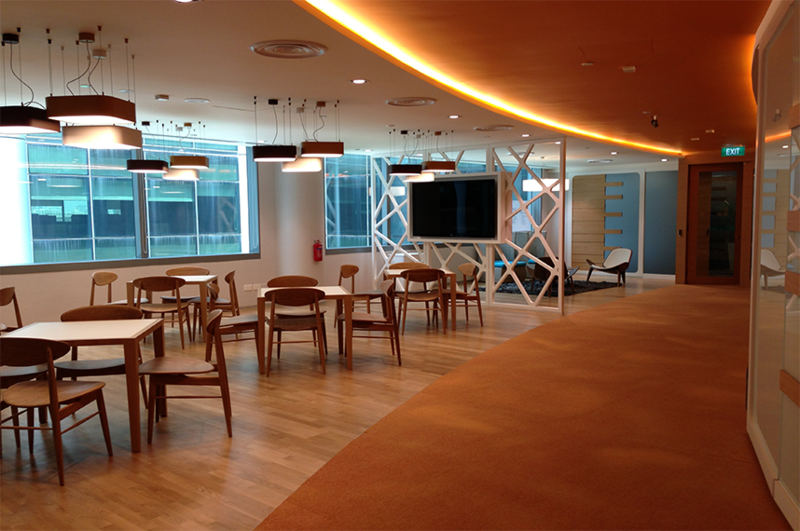 DSCO provided Full M&E Consultancy services for the office renovation works to Starhub’s office at Tai Seng, Singapore. The 2,500 sqm office consists of meeting rooms, conference rooms, GIS room, test rooms, patch room, reception and generally office ancillary areas. A workstation office area was also provided for approximately 200 staff. 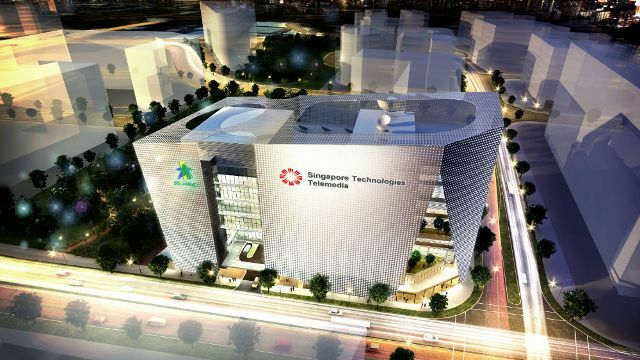 DSCO was engaged to provide M&E Consultancy Services for a new build Data Centre and office, operated by a joint venture between ST Telemedia Global Data Centres and Starhub. STT Mediahub is a state-of-the-art, highly secure carrier neutral Data Centre designed to comply with TIA-942 Rate III standards. The facility has an approximate gross floor area of 21,000 sqm and is a Greenfield project, offering a full suite of best-in-class, highly scalable and flexible Data Centre services. It has been awarded the Green Mark Platinum Award for Data Centres by BCA. The project commenced in 2013 and the base building was completed in 2016. 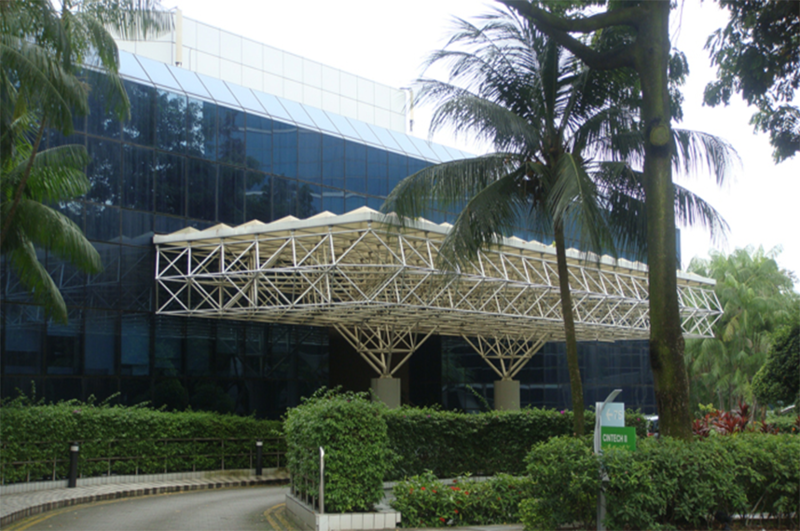 DSCO was engaged to provide Full M&E Consultancy Services which included feasibility study, concept detailed design, tender and contract administration for Digital Realty (SIN11) located at Loyang Way, which has an approximate area of 18,000 sqm. It is an existing industrial building that is converted for Data Centre colocation purposes . Facilities such as offices are located on the lower floors of the building; with upper floors of similar modular design, comprising of Data Halls, UPS and battery rooms. It has been awarded the Green Mark Platinum Award for Data Centre by the BCA. DSCO was engaged to provide Full Project Management, MEP Design Consultancy and was the ESD Consultant for the end to end service for a new Greenfield Data Centre. 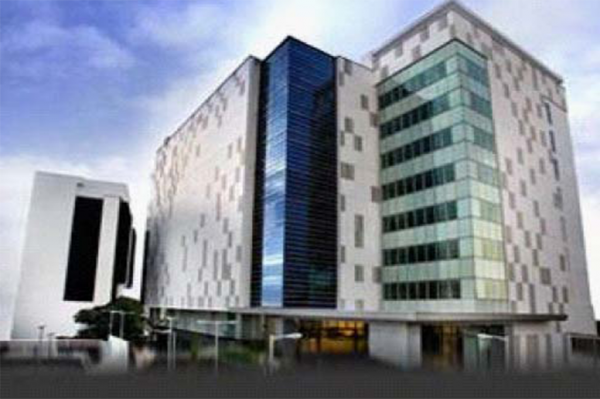 The 5-storey building with a GFA of approximately 20,000 sqm is a multi-tenanted Data Centre. The facility was awarded TCDD and TCCF Tier III by The Uptime Institute. It has also been awarded the Green Mark GoldPLUS Award for Data Centres by the BCA. 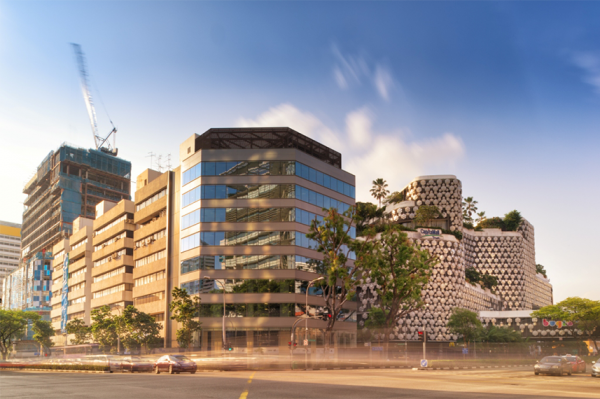 DSCO was engaged to provide M&E consultancy services for a feasibility study and Data Centre upgrading works for Telin Singapore with an approximate area of 930 sqm. The facility was awarded TCDD Tier III by The Uptime Institute. The project was completed in 2015 with various upgrading phases still ongoing. 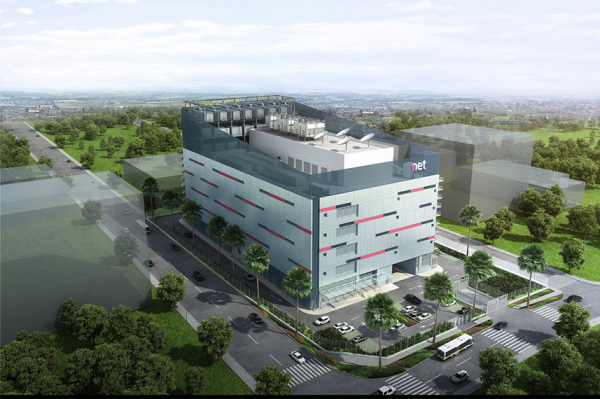 Digital Realty Trust’s Singapore Data Center (SIN10) is a 7 storey new built facility, approximately 50,000 sqm. It is currently one of the largest colocation Data Centre in Singapore. 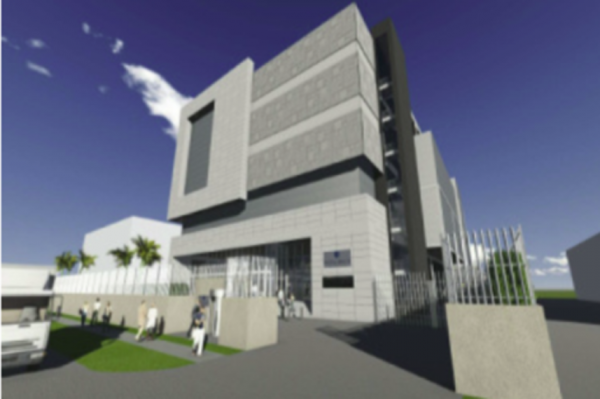 The new Data Centre facility was procured on a design and build basis and is designed to TIA942 Tier 3 requirements. The building was designed to provide a total power capacity of 60MW, with 8000 IT racks. DSCO provided the MEP Design Consultancy and peer review of the D&B contractor for the base building design under Japan Land Asia. 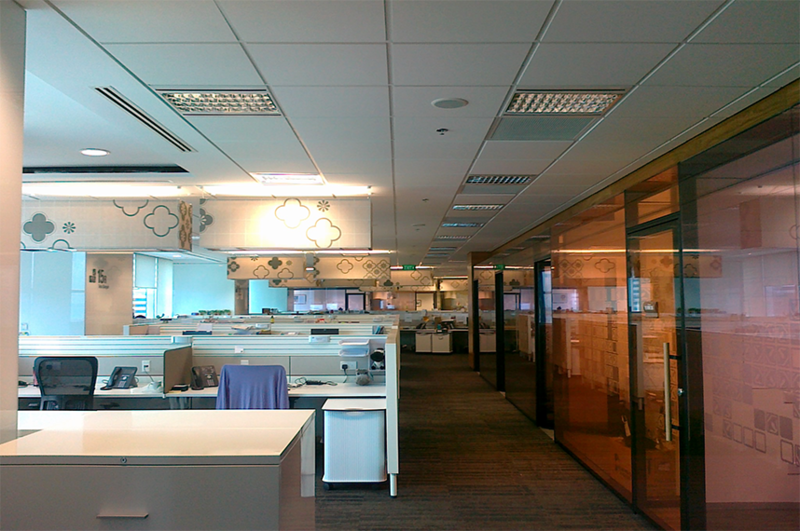 DSCO then provided M&E Design Consultancy to handle the fitout works at level 6 & 7 under Digital realty. Level 6 comprises of 3 x pods that is Built to Suit (BTS) an area of about 2,230 sqm, with each pod custom designed to cater for 1000kW IT load, while Level 7 comprises of 5 x pods that is Built to Suit (BTS) an area of about 3,720 sqm, with the new Data Centre pods housing a total of 1000 racks each pod being custom designed to cater for 1,200kW IT load. Area: 125,140 sqm (for all projects) Client: Equinix Inc.
Equinix IBX Data Centres operate in 38 markets across 13 countries. DSCO was the MEP consultant for the Asia Pacific Data Centres for Pihana Pacific and iSTT when they were acquired by Equinix in 2003. 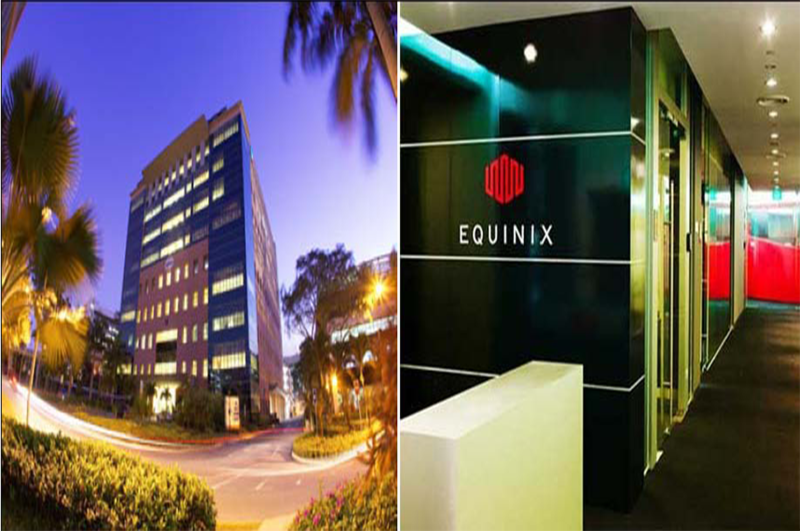 Since then DSCO has provided MEP consultancy for Equinix throughout Asia. Various phases of expansion and upgrading of SG1 at Ayer Rajah, SG2 at Pioneer and SG3 at Ayer Rajah. This represents over 32,240 sqm of colocation space in Singapore. Since the recent acquisition of AsiaTone Data Centres, DSCO has also been appointed to carry out iPVTTM in Shanghai for SH5, SH6 & SH7. Equinix has over 92,900 sqm of Data Centre space in Hong Kong and China of which DSCO designed about 50% of. Project commenced since 2001, with various phases on-going. Both SingTel KCTC1 and KCTC2 are Greenfield purpose built Data Centres. 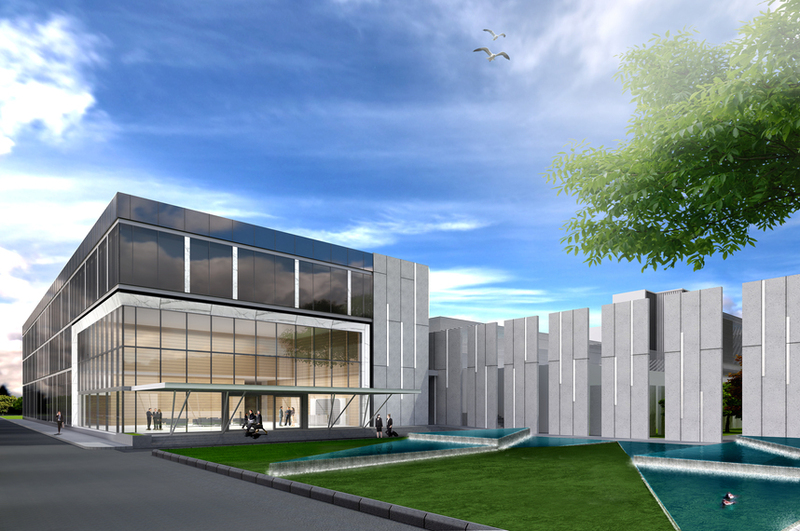 Each are Tier 4 design with Data Centre technical space of 15,000 sqm each. The Data Centre facilities were procured on a Design and Build basis. DSCO were engaged to provide peer review of the design to ensure that the designs are in accordance with TIA 942 Tier 4. As a result of the review, the proposed recommendations for changes were implemented. On completion of the construction works, DSCO was engaged to carry out integrated performance verification testing (iPVTTM). Subsequently, DSCO was engaged as the Lead and M&E Consultant for the fitout of 5 floors at KCTC2. Project commenced since 2001, with various phases still ongoing. 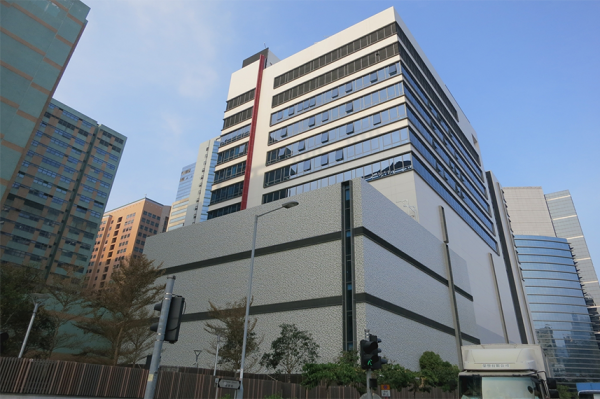 DSCO provided Lead MEP and Testing & Commissioning Consultancy for Watson Centre Data Centre at Kwai Chung, Hong Kong. 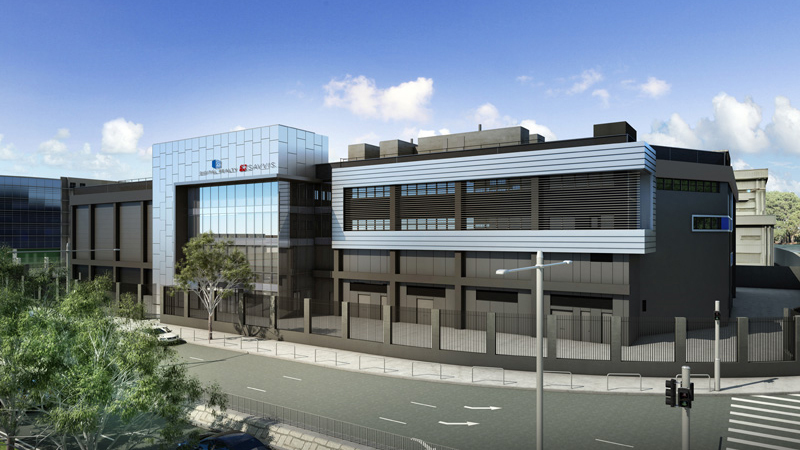 The Data Centre project of approximately 8,340 sqm was separated into two phases. This included dismantling and relocation of existing Industrial Water Tank, cooling towers, transformer rooms, LV switch rooms and Estate Management Office. Phase 1 includes about 2,000kVA IT Load and 800 racks, related MEP installations, fitout works, Fan Room, Underground Fuel Tank and Pump Room, Underground Water Tank and Pump Room, Chiller Plant room, generator room, UPS room, dismantling of existing Industrial water tank, cooling towers, all transformer rooms, all LV switch rooms and all infrastructure facilities. Phase 2 includes another 3,000kVA and 1,200 racks, related MEP installation, fitout works, UPS room, generator room, cooling towers, existing service relocations and diversions. Project Phase 1 was completed in 2014 with phase 2 still ongoing. DSCO provided M&E Consultancy Services by conducting a peer review for Fountain Shanghai Data Centre. 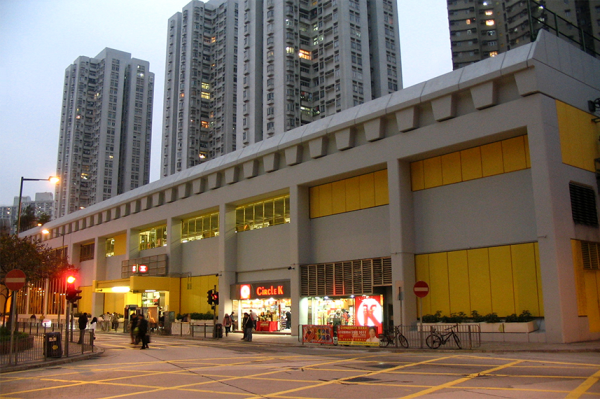 The building has an approximate area of 6,000 sqm and consists of 4 Storeys. The 1st floor included MEP area, lobby and reception whereas the 2nd to 4th floor are colocation areas. DSCO was engaged to provide Project Management and Full M&E Consultancy services for a new Greenfield Data Centre. The Iskandar Puteri Core Data Centre (IPDC) consists of 8,400 sqm of Data Centre white space and 930 sqm each for office suites and disaster recovery workplaces. The facility was awarded TCDD Tier III, followed by TCCF Tier III (for phase 1) by The Uptime Institute. The project commenced in May 2014 and was completed in November 2017. 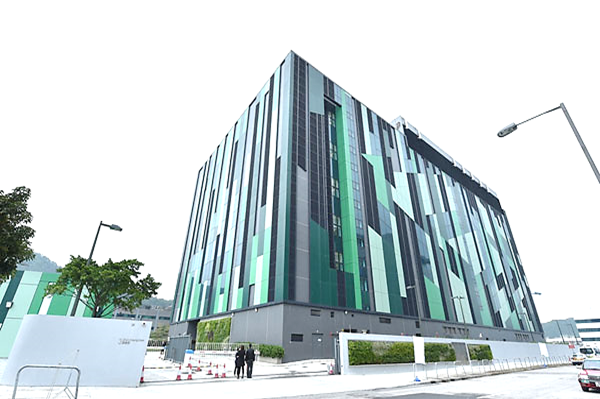 DSCO provided M&E Consultancy services for NTT’s Greenfield Data Centre of approximately 27,000 sqm with 13,500kW of IT Load in 9 data halls by conducting a Site Acceptance Test and Integrated Systems Test Services. NTT communications opened Phase 1 of the new Hong Kong Financial Data Centre (FDCTM) in Tseung Kwan O Industrial Estate with over 80% of Phase 1 capacity in the new Data Centre was reserved prior to launch. It will incumbent on the firm to ensure that the design, function and quality of all MEPF services are value-added. Of primary concern is the reliability of the MEPF systems to suit this critical facility. Secondary inter-related matters that will be considered will be local regulations, energy and re-current costs, buildability, maintainability, flexibility and redundancy. The Tier IV ready facility boasts a 100% uptime service level, unrivalled security, connection to NT’s ultra-low latency networks and close proximity to the data centre operations of regional exchanges. DSCO provided Lead and M&E Consultancy for a space and supporting facility expansion at its Switch Centre with an area of approximately 1,860 sqm. The project is to convert the existing switch centre office area and service operation centre room into a professional equipment hosting area; Phase out legacy chiller plant on west side BMI rooftop by expanding chiller units on the east side rooftop; Install one additional generator and switchboard for output connection with other existing generator and upgrade the existing Building Management System to the latest software load and expand the system HW/SW to support BACnet protocol. DSCO provided M&E Design Consultancy Services to Sify Technologies for a Data Centre in Noida, India. This includes the design for fitting-out approximately 16,800 sqm of technical collocation space, fitout of 6 floors of the building, based on a combination of 1440kW and 720kW data halls with each of the data halls of typical design and in accordance with Sify’s design parameters. The facility was awarded TCDD Tier III by The Uptime Institute. 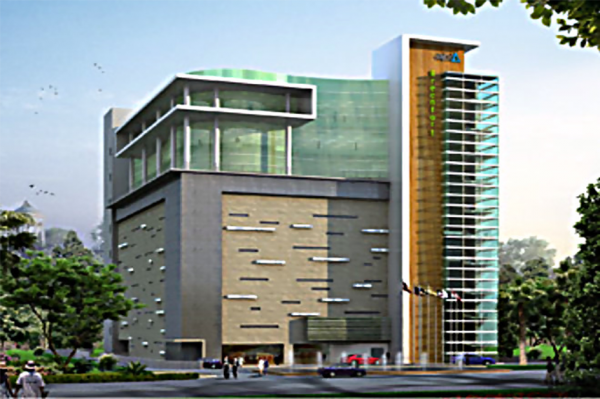 DSCO provided M&E Consultancy services to Sify Technologies for a Data Centre in Mumbai, India. DSCO was in charge of designing approximately 8,400 sqm technical colocation space; 6 floors of the building based on a combination of 1440kW pods with each of the data halls of typical design in accordance with Sify’s design parameters used in the new Noida design. HSBC intented to build a new Tier IV next generation Data Centre (NGDC). This was to meet its business expansion needs and its markets’ long-term development needs. Under its preliminary plan, HSBC constructed a 3 Storey Data Centre and IT office space with an approximate area of 13,300 sqm. DSCO provided Testing & Commissioning Consultancy for the Data Centre and supporting office and it has 5MW IT Load. DSCO provided Full Lead and M&E Consultancy services for PT DCI’s Greenfield Data Centre in Jakarta, Indonesia that has a production area of 24,000 sqm. The entire site of 8 x buildings includes Data Centre, offices and a standalone utilities annex. The scope of work provided included the overall site masterplan, concept and schematic designs to allow of local consultants to do the detailed design and authority submissions. DSCO also provided review works and upgrading of the systems in order to obtain Uptime Institute Design Certificate. PT DCI is the first data centre in Indonesia and South East Asia to be awarded with Tier IV Design Certification by The Uptime Institute. 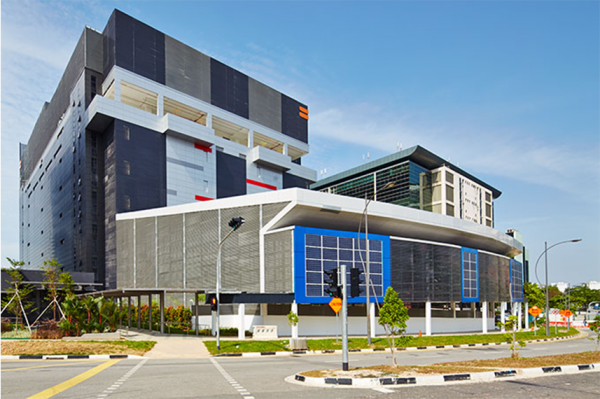 DSCO provided M&E Consultancy services by providing detailed design and Testing & Commissioning for The Fort Data Centre at Changi South, Singapore. 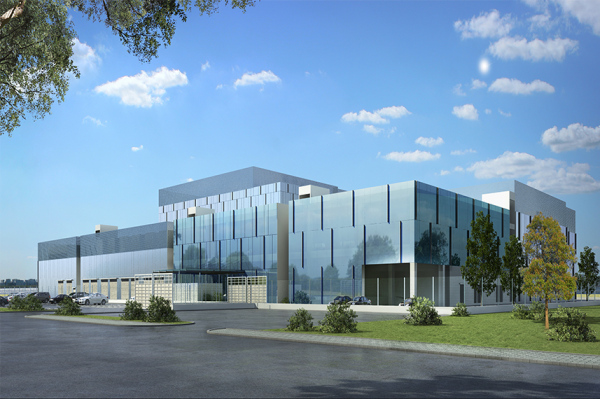 It is a conversion of an existing industrial building to a Data Centre with 12,000 sqm technical space. 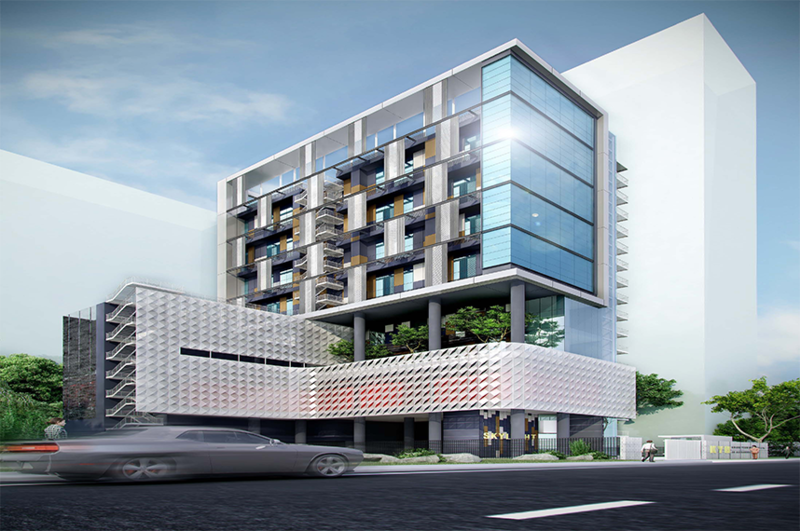 It is an expansion projects for tenants encompassing over 2,500 sqm white space each. The Fort Data centre is tailored to meet minimum TIA 942 Tier 3 standard. DSCO provided the Lead and M&E Consultancy services for Fujitsu, and collaborated with the local design institute to provide architectural and structural consultancy for their Greenfield Data Centre with a total built up area of 9,000 sqm. 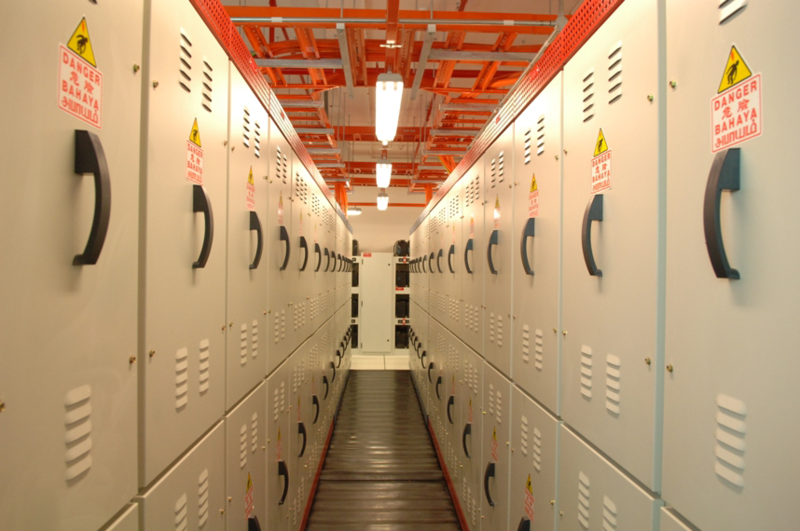 The total power supply capacity is 5MW, with approximately 1,000 IT racks. This Data Centre is the first in China that utilises dynamic rotary UPS to support both IT and cooling loads. DSCO has been engaged to provide various M&E Consultancy services to GDS. The services included feasibility study, due diligence, peer review, technical audits, full design and testing & commissioning. 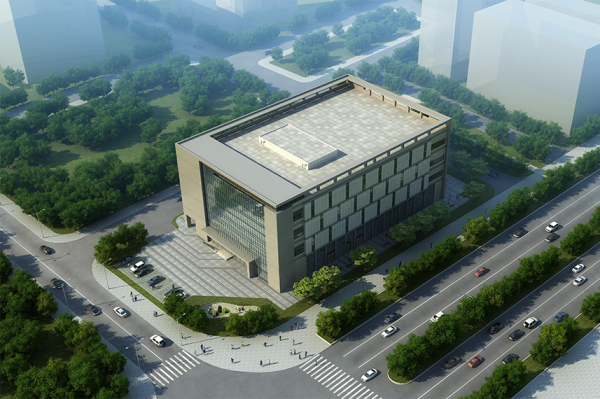 The Kunshan Data Centre has an approximate area of 24,000 sqm, the Chengdu Data Centre has an approximate area of 119,930 sqm and the WaiGaoQiao Data Centre has an approximate area of 22,000 sqm. GDS is China’s leading IT service provider of world class, high availability Data Centres. 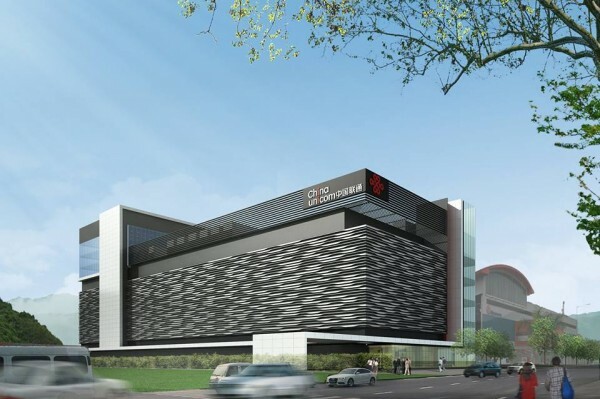 GDS has rapidly expanded its service offerings and coverage in China to over 15 data centres with an anticipated technical space of over 100,000 sqm. 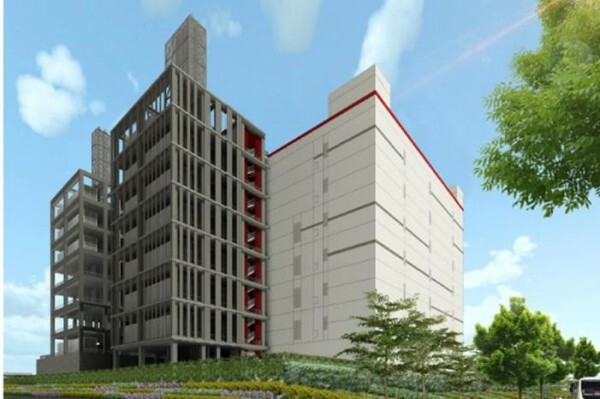 DSCO provided M&E Engineering Peer Review for the new build Data Centre building in Jakarta with 8 floors and 3 basements of total net area of 12,355 sqm with 24MVA. The M&E peer review engineering included design review, review during construction and typical DC tenant fitout design. 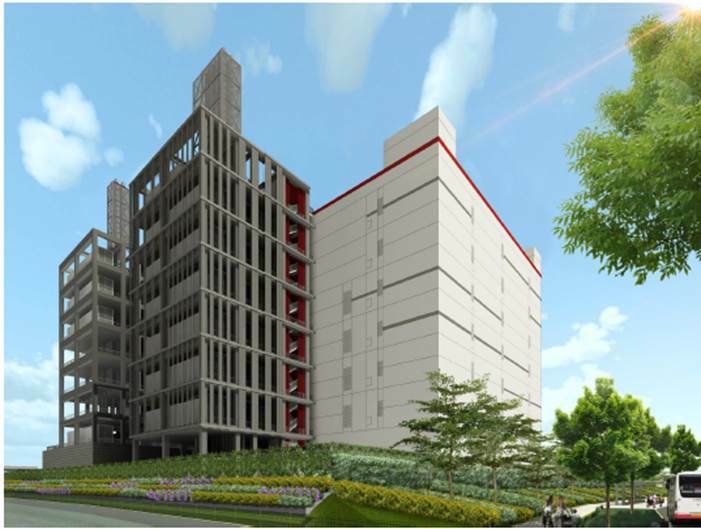 DSCO provided M&E Consultancy, which included site MEP feasibility study, development of project design brief, review of detailed design by the local consultant team and conducting integrated performance verification testing (iPVTTM) for PT Bank UOB Buana Data Centre project at UOB Thamrin 9 building in Jakarta, Indonesia. The new Data Centre designed to Tier 3 standard has a total area of 500 sqm and comprises of server room, media vault room, operator console room, tape drive room and printer room. United Overseas Bank’s new Greenfield data processing site comprises of 2 levels of white space of 6,000 sqm. The existing carpark was demolished to construct the new Data Centre. 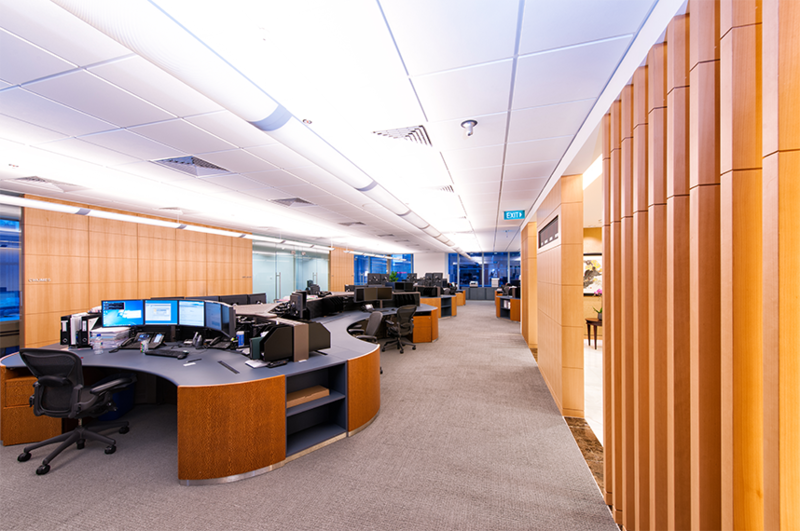 With guidelines provided by BCA, this became the 1st commercial Hardened Operations Centre (HOC) in Singapore. DSCO was engaged as the M&E Consultant and was involved from Design to Testing & Commissioning. 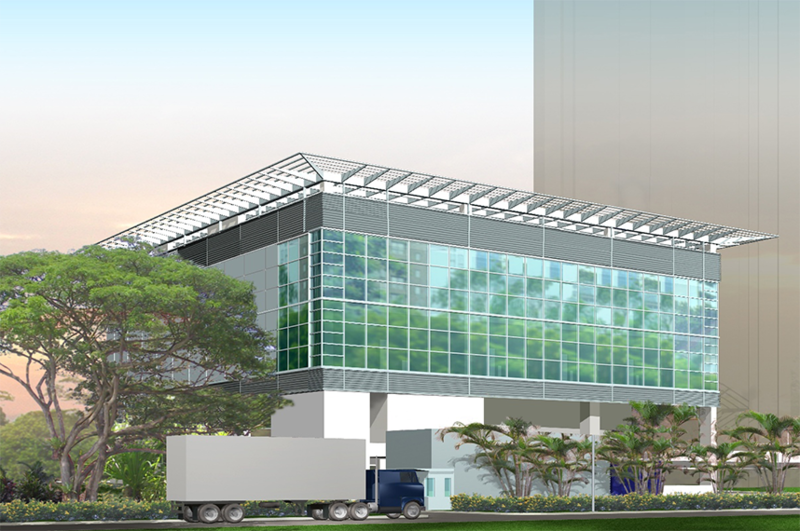 DSCO was engaged for the expansion of the existing Data Centre, with technical space of approximately 3,900 sqm. DSCO provided Full M&E Engineering Consultancy and Project Management services. 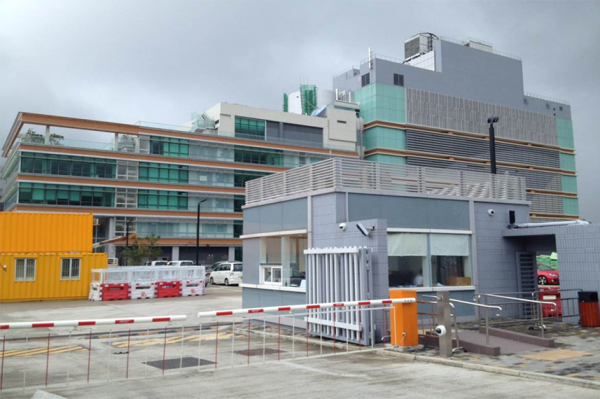 This data centre is Citi’s main data processing site spanning across 2 levels of the building at Asia Pacific Processing Centre with 750nos. IT racks, total power consumption is 3MW. 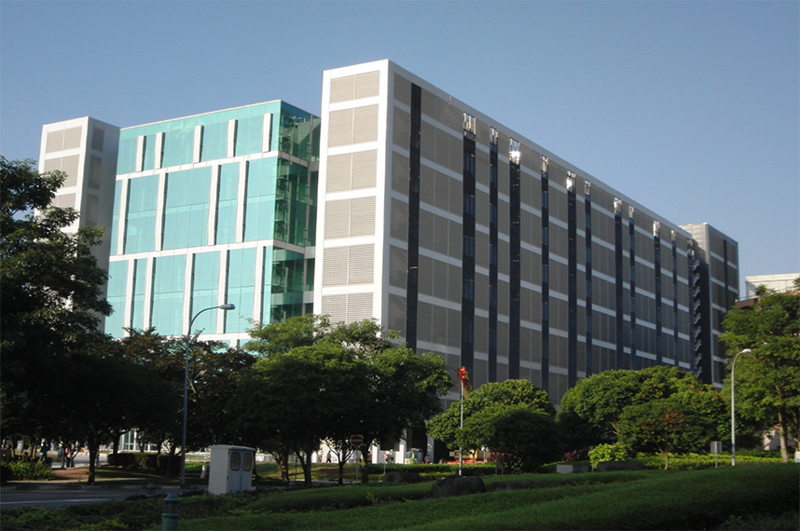 This was the first Data Centre in Asia that has both IT loads and cooling supported by Diesel Rotary UPS (DRUPS). 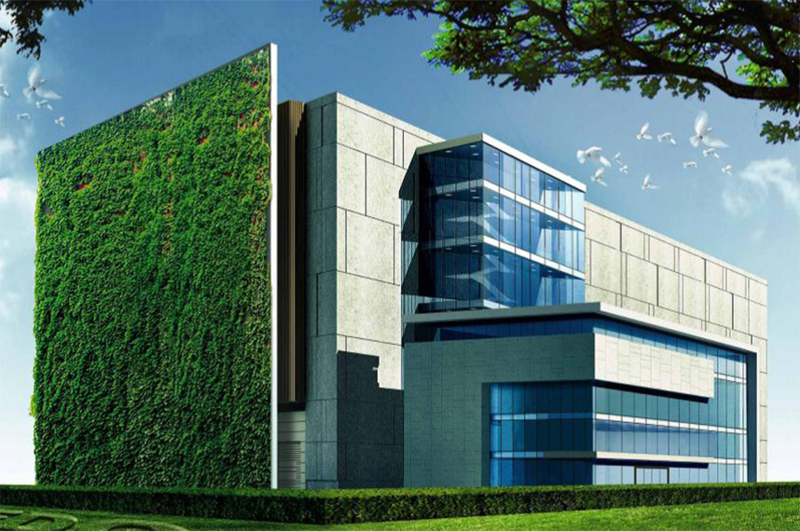 With DSCO’s design philosophy in line with both resiliency and efficiency, it became the first Data Centre within Asia to achieve LEED Gold Certification. DSCO was appointed as the Lead and MEP Consultant for the colocation facility for Global Switch Singapore, located at Tai Seng Avenue, that was opened in December 2001. This brownfield project involved extensive modification to an existing industrial building to convert it for Data Centre usage. The total GFA is approximately 22,000 sqm to house about 4,000 IT racks. The total power capacity is 20MW. 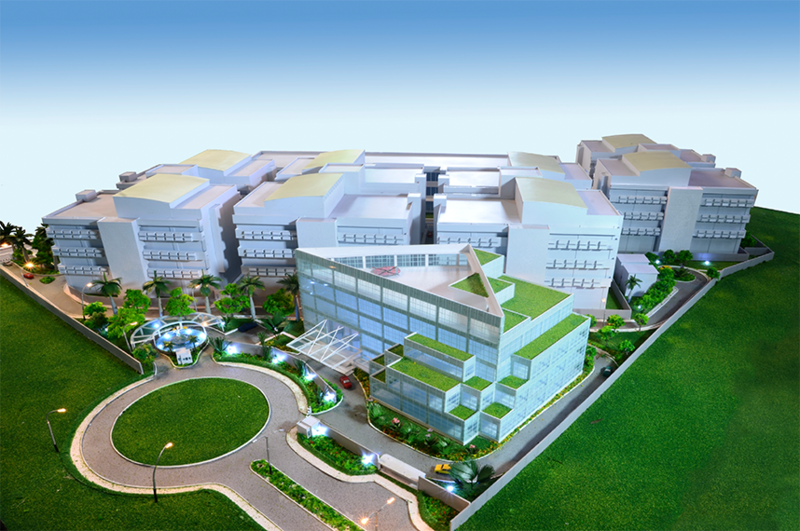 DSCO also completed the concept design for Global Switch GS2 site at Woodlands, which is a Greenfield project. 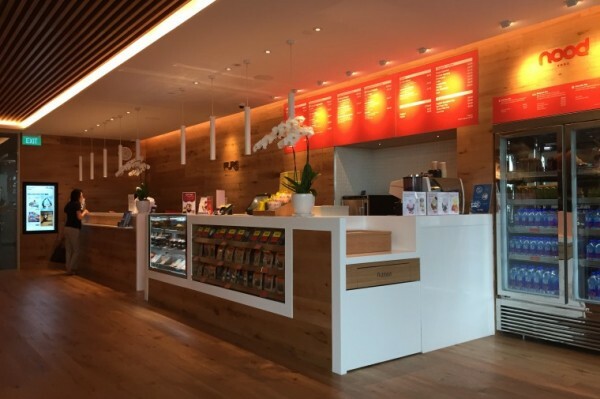 DSCO provided Full M&E Consultancy services to Pure Group for the new facility at Asia Square Tower 2 by conducting a feasibility study of the new site to determine the suitability of the existing MEP services and then followed by Full M&E Consultancy Services. 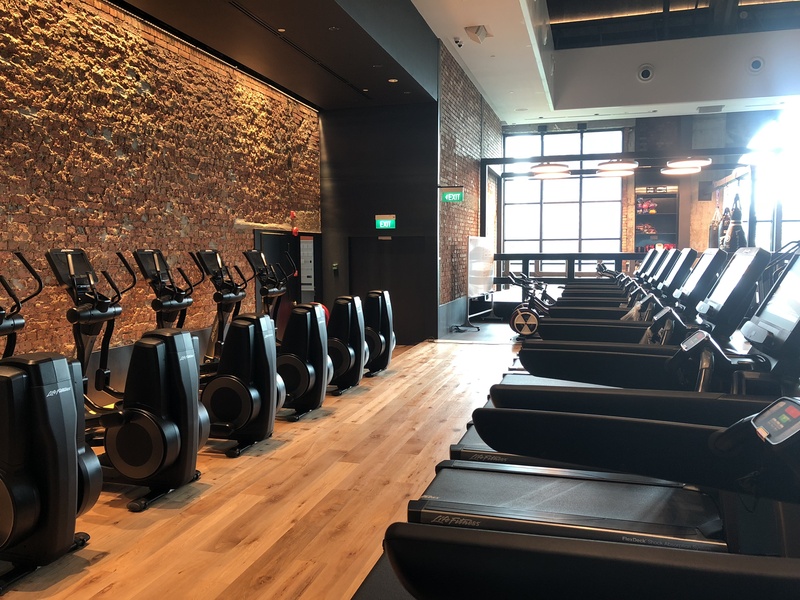 The facility consists of a New Yoga Studio at Level 6, which has an approximate area of 1,280 sqm, and other facilities such as 5 Yoga Rooms, changing rooms, showers, reception, retail and a lounge. The facility also consists of their Nood Food Outlet at Level 1, which has an approximate area of 145 sqm. 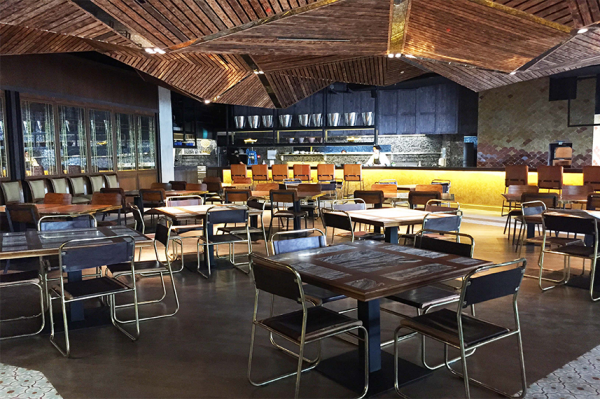 DSCO provided M&E Consultancy services for the fitout works for Long Chim Thai Restaurant at The Shoppes, Marina Bay Sands that has an approximate area of 600 sqm. The scope of services provided were: Power supply, general lighting, emergency lighting, distribution mains, air-conditioning system, mechanical ventilation, hot & cold water distribution system, sanitation system, gas system, sprinkler system and fire alarm system. 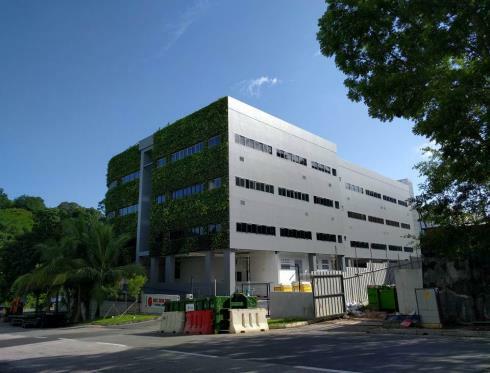 DSCO was engaged by Pamfleet to manage major upgrading works and facelift of an existing commercial building at 108 Middle Road, Singapore, in order to comply with the latest building and fire codes. The works also included fitout works of new offices approximately 490 sqm on each floor. The building is 9 Storeys and zoned for retail and commercial use. The ground floor and mezzanine area are for retail use with the balance of the floors designated as commercial use. DSCO provided M&E Consultancy services and provided Project Management and Full MEP Consultancy services for the conversion and renovation fitout works of a wet market into a shopping centre. 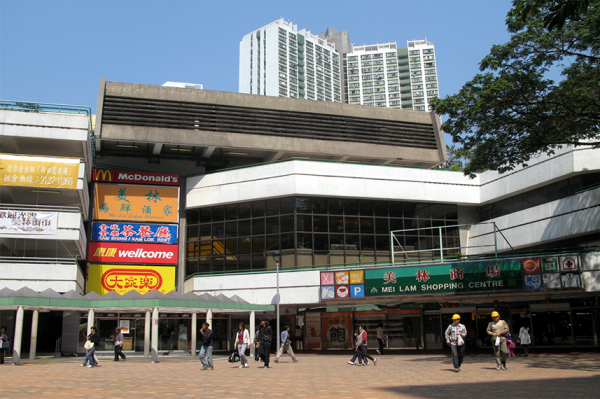 Based on the preliminary outline proposals of Kwai Hing Shopping Centre, DSCO developed design schemes and identified the best option for implementation and upgraded the LV switchboard from 1600A to 2500A and complete the building energy efficiency submission. DSCO provided M&E Consultancy services for the MEP renovation Fitout works for the 4 Storey building with an approximate area of 3,900 sqm. It is to ensure that FSCPO and BFA is in compliance and the works included modification of the existing staircases to a certain width in order to be fully compliant with Means of Escape (MOE) requirements; extension of the existing supermarket area to an atrium; renovation of all public lavatories from G/F to 3/F; demolition, strengthening and fill-up works at the existing sunken courtyard to G/F level and an additional staircase from 1/F to G/F. 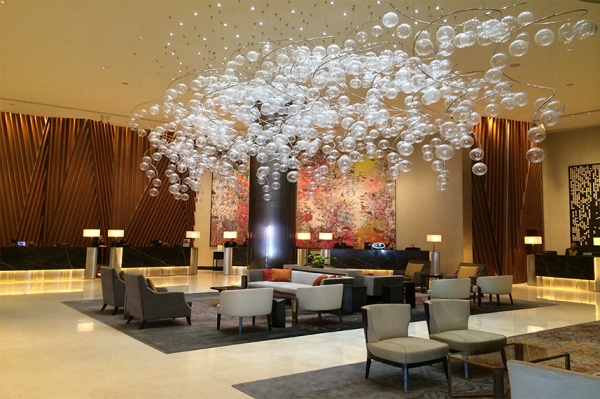 DSCO provided M&E Consultancy services to Fairmont Swissotel by upgrading 371 of their guestrooms, air-conditioning systems, lobby, ink bar and driveway in 2012. This included the provision of plan layouts, piping and control schematics, installation details, schedule, accessories, air and water flow requirements and full specifications for the replacement of existing equipment. 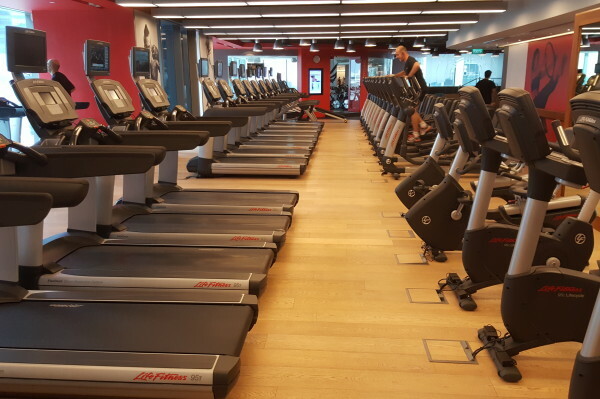 DSCO provided Full M&E Consultancy services to Pure Group by conducting a feasibility study and the implementation works on the 6th floor of Asia Square Tower with an approximate area of 2,980 sqm for a fitness gym, and 465 sqm on the 7th floor as new office premises. 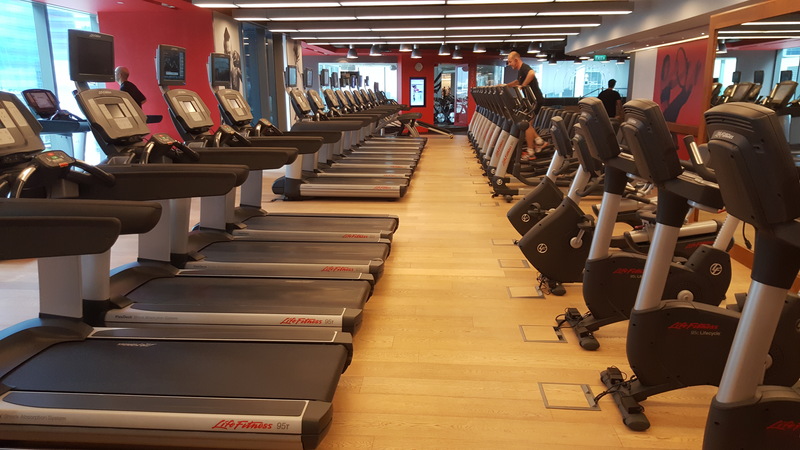 DSCO provided Full M&E Consultancy services to Pure Group for the new facility with an approximate area of 1,200 sqm by conducting a feasibility study of the new site to determine the suitability of the existing MEP services and then followed by Full M&E Consultancy services on the 2nd floor of Knightsbridge for their new Fitness facility which consists of fitness studios, changing rooms, showers and reception. 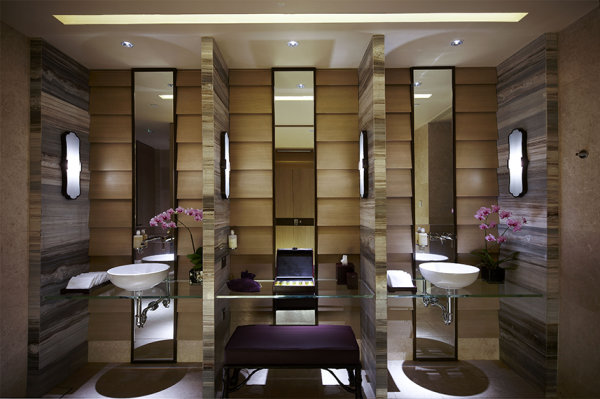 DSCO provided M&E Consultancy services by managing the A&A works to the spa located on Level 5 at Mandarin Hotel, Singapore. The project is a renovation of the spa on level 5 with an area of 375 sqm. The extent of the A&A works at this area included a total change of layout to the spa, extension of bridge from spa to poolside, addition of a steam room/sauna, total change of changing rooms, new air-conditioning and related M&E system such as power systems and distribution, general lights, fire detection and protection, plumbing and drainage. In addition, the air-conditioning of the existing spa is obtained from the Atrium and it is the Hotel’s intention to provide a separate and independent AHU for the spa to achieve better control and to enable measurement of energy consumption for the air conditioning of the spa. DSCO provided M&E Consultancy services by conducting a feasibility study to convert and relocate the private O&G Clinic from Kent Ridge Wing Level 3 & 4, to the auditorium space. The existing clinic is around 520 sqm. 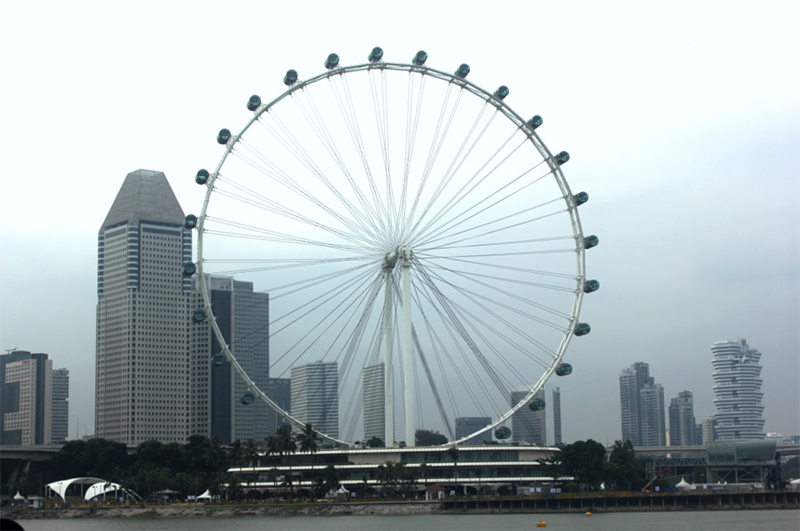 The Singapore Flyer was out of operation due to a failure in the electrical system in December 2008. DSCO was appointed to conduct a feasibility study and implementation of the improvement works on the emergency back up system to the Flyer and its capsules. In addition to the secondary backup system, Singapore Flyer also required power supply to the capsules (especially for air-conditioning) to be maintained in the event that a similar incident from happening. This power supply ensures that the occupants within the capsules will have air-conditioning during the evacuation progression. As time was of the essence to resume the operations of The Singapore Flyer, DSCO completed the works within 2 weeks. 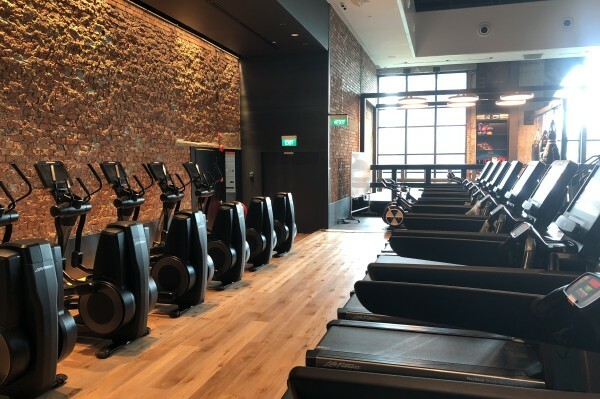 DSCO provided Full M&E Consultancy services to Pure Group for the new facility that has an approximate area of 1,075 sqm and the works consists of 4 yoga studios, changing/locker rooms, showers, reception, retail and lounge on the 4th floor of Chevron House. DSCO provided Full M&E Consultancy services to Pure Group by providing A&A works for the new facility which is approximately 1,115 sqm. The facility comprise of five yoga studios, changing rooms, showers, reception, retail and a lounge on the 18th floor of Ngee Ann City at Orchard Road, Singapore. 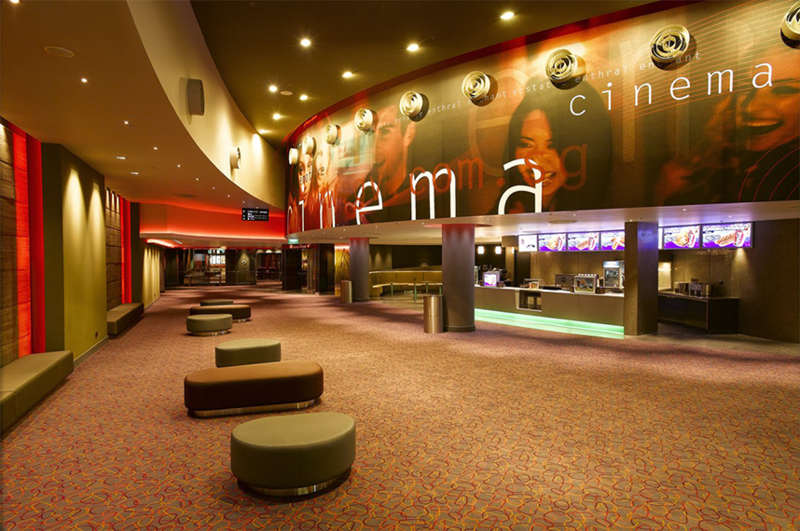 DSCO provided M&E Consultancy services for Golden Village Multiplex Cinema in VivoCity. The Cineplex consists of 15 screens, 2,172 seats, 4 cinema types spread across two floors of entertainment occupying 8,400 sqm of space and is the largest cinema complex then and was opened in September 2006. DSCO provided M&E Consultancy services for The Banyan Tree Hotel and Resort Spa that opened in Shanghai in January 2003. 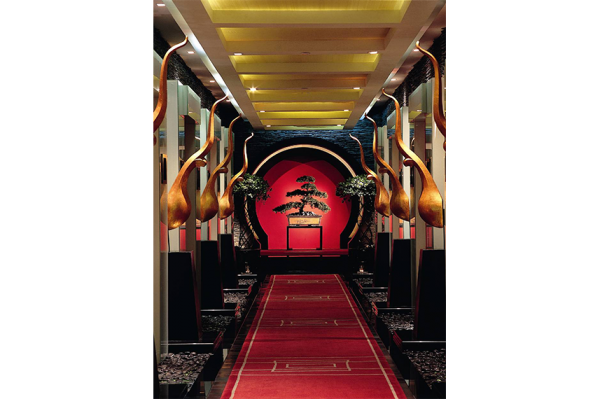 The luxurious spa, located within the five star Westin hotel, has themed rooms illustrating the four Chinese elements of water, wind, fire and earth for each of its spas. 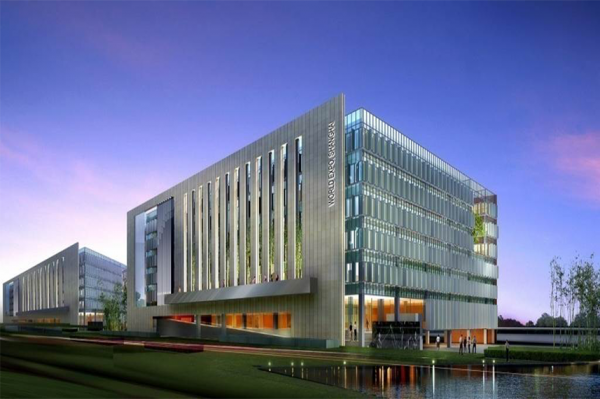 DSCO provided specialist services for this prestigious project to meet the client’s own rigorous requirements for hydraulic, sanitary & drainage, air-conditioning & mechanical ventilation, lighting & electrical, ELV systems and fire protection. DSCO provided M&E Consultancy services to redevelop the Singapore Island Country Club swimming pool and bowling complex (Phase 1 works). The facilities include a 12 lane bowling alley, jackpot room, multi-purpose hall, steam rooms, gymnasium, dining, TV rooms, shower and changing rooms, car and buggy parking and a two tier gold driving range. 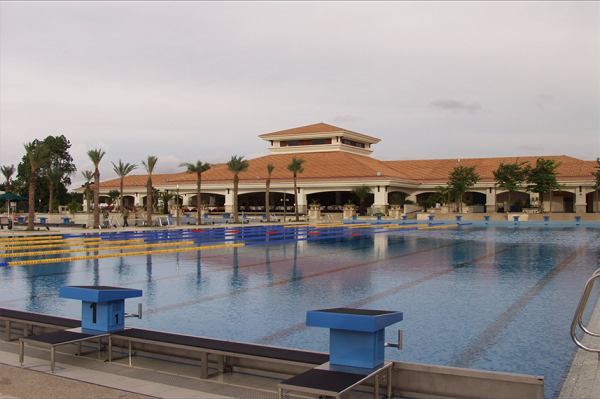 In addition, a total of three swimming pools were constructed, including an Olympic size pool built to FINA standard. A training pool, wading and play pool also provides facilities for children with water spouts, slides and bubble mats. All works to the clubhouse were coordinated and successfully completed with minimum disruption and inconvenience to the on-going operations and its members. DSCO were involved in the fitout of Visa’s premises at Visa office space on level 11 of their offices in Singapore Post Centre which is approximately 3,700m2,, and has an internal staircase between the 10th and 11th floor. The new workspace includes open plan workstations, reception, meeting rooms and pantry areas. 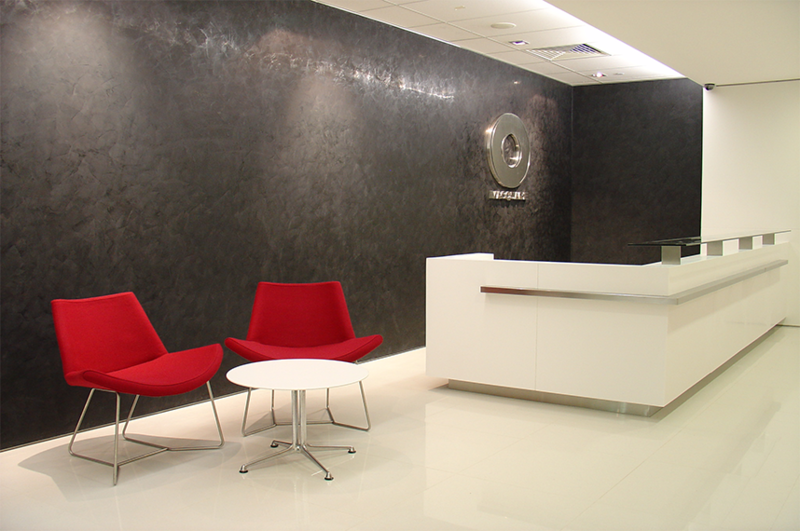 The facility was awarded with Green mark Award Platinum by the BCA for office interiors. 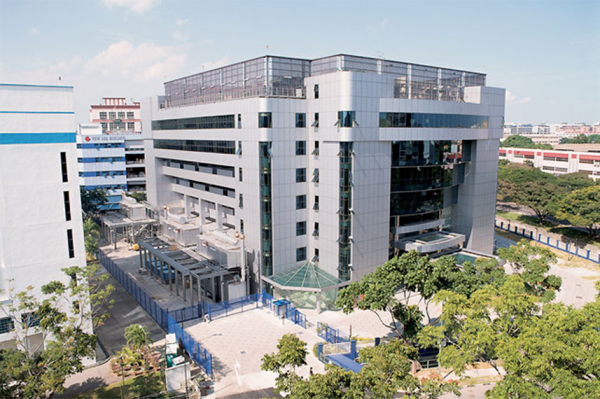 DSCO were involved in the fitout works of Visa’s premises at Level 7 of Singapore Post Centre that comprises of 930m2 of Data Centre space, a command centre and 2,300m2 office space. 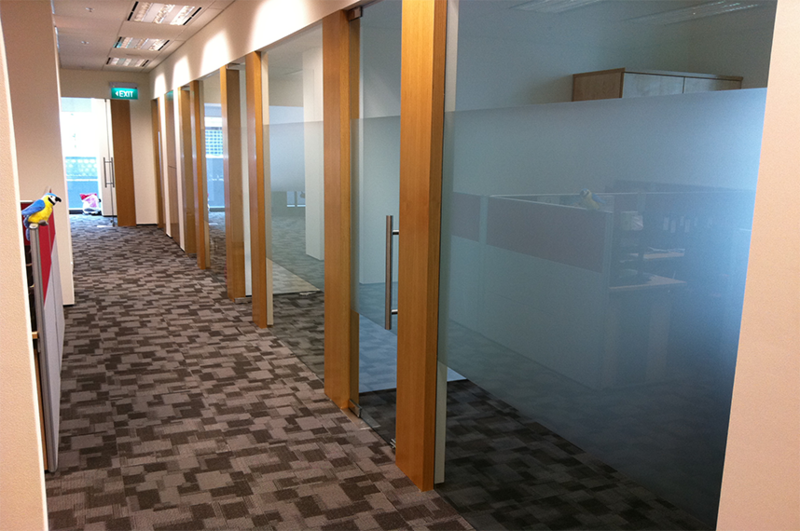 DSCO was also involved in another office fitout work at Level 10 that is approximately 2,600m2. Area: 16,800m2 Client: Equinix Inc.
DSCO provided Full M&E Engineering Design Consultancy Services for SG2 with a total area of 16,800m2. 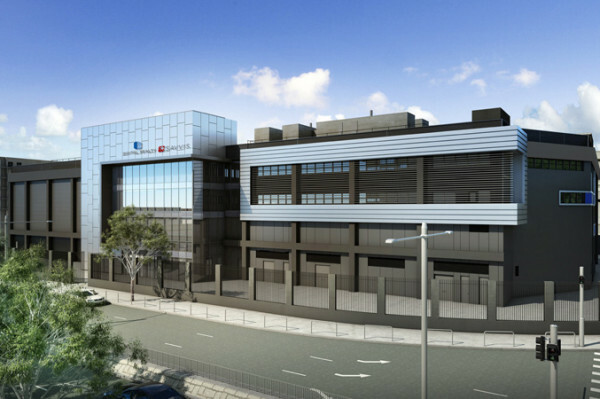 This Data Centre is a co-location Data Centre service provider occupying two levels of Data Centre space. These two levels each has its own facility system to provide power and cooling to their respective Data Centre and also to provide a dual facility support system for the two levels. Various projects are ongoing since 2003. It has been awarded the Green Mark GoldPLUS Award for Data Centres by the BCA.